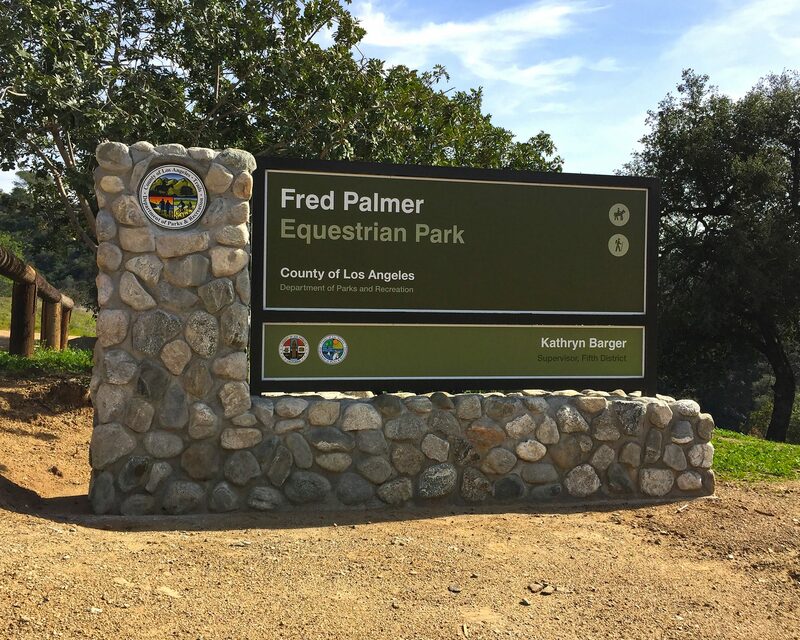 Gopher Sign Company manufactures a wide variety of exhibit bases designed to protect and present your signs in an attractive manner. 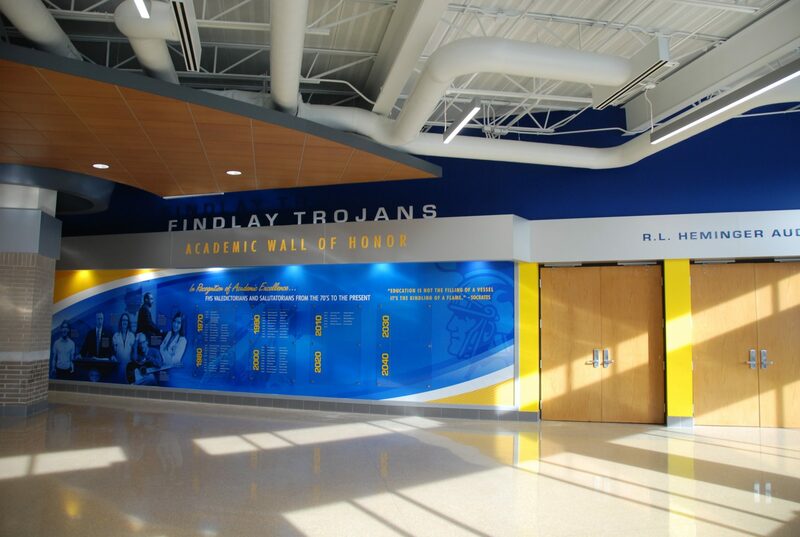 They are designed and constructed with a focus on durability, ease of installation, and professional appearance. 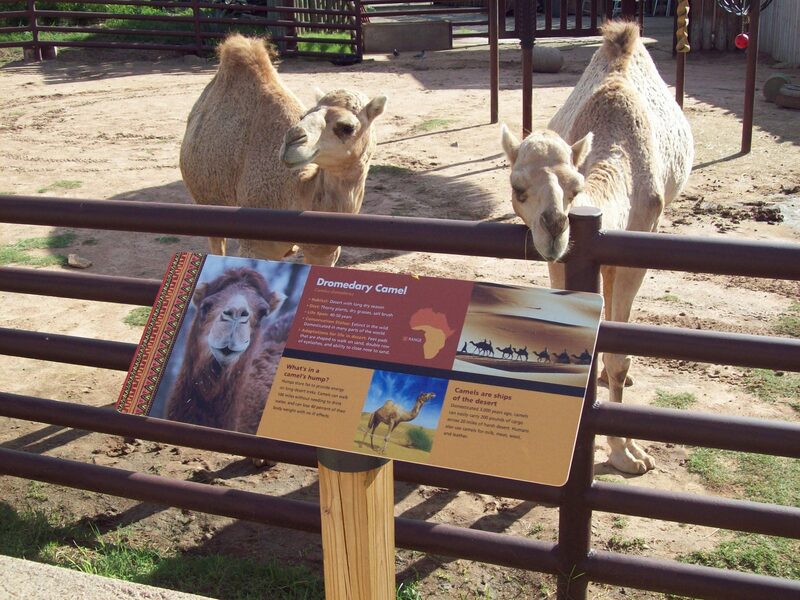 Our exhibit bases are constructed with aluminum alloy for optimal corrosion resistance. 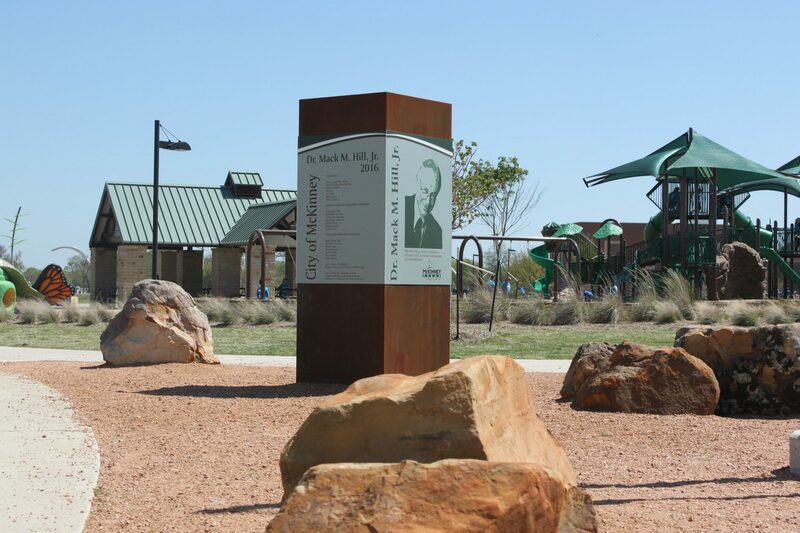 All welds are ground smooth to optimize the appearance of the exhibit base. 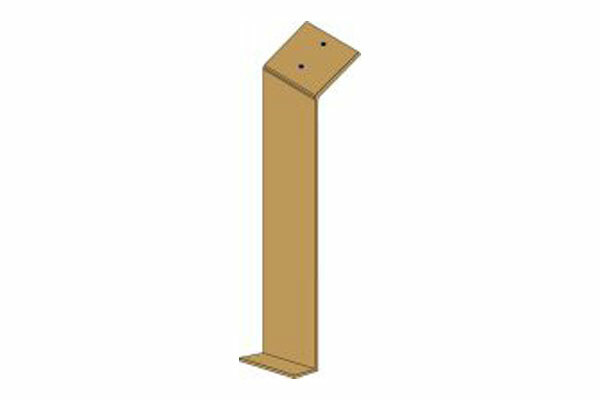 Threaded inserts are used wherever possible to make the assembly process quicker and easier. 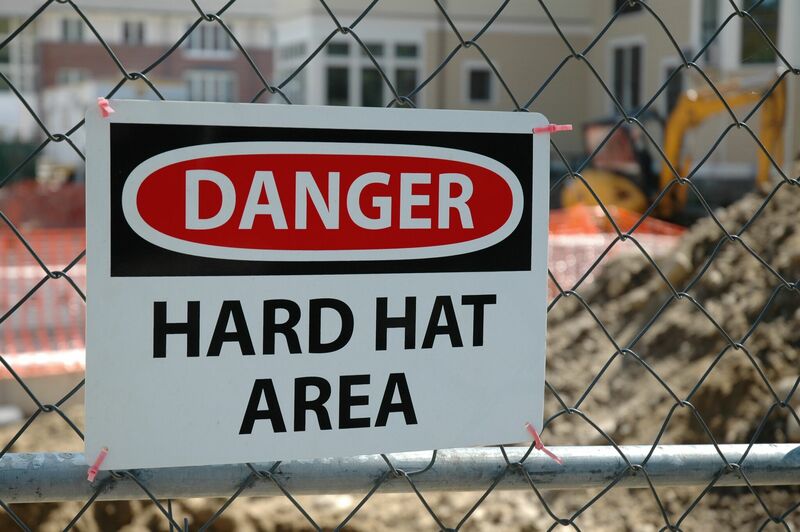 Tamper-proof hardware is used wherever possible to protect the signs and bases from theft and vandalism. 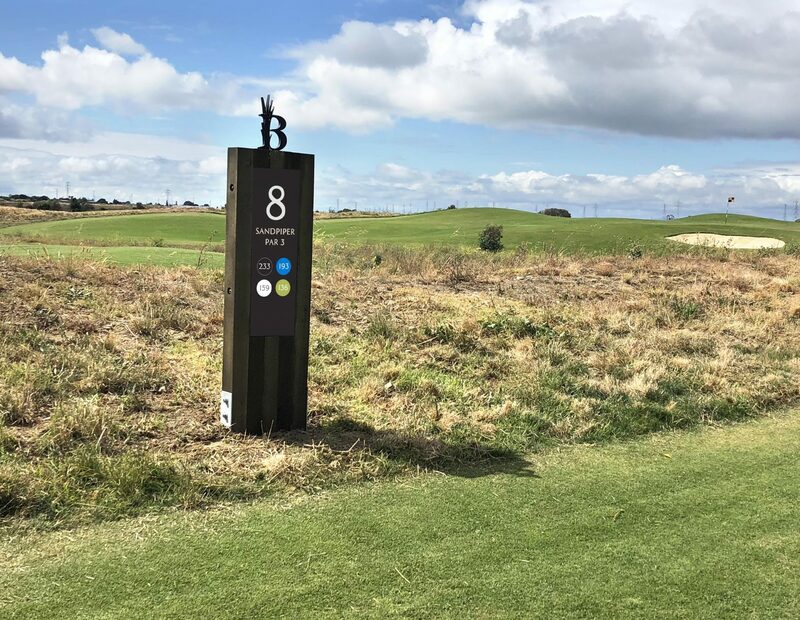 Finally, each base is powder coated to improve weather resistance and aesthetic appearance. 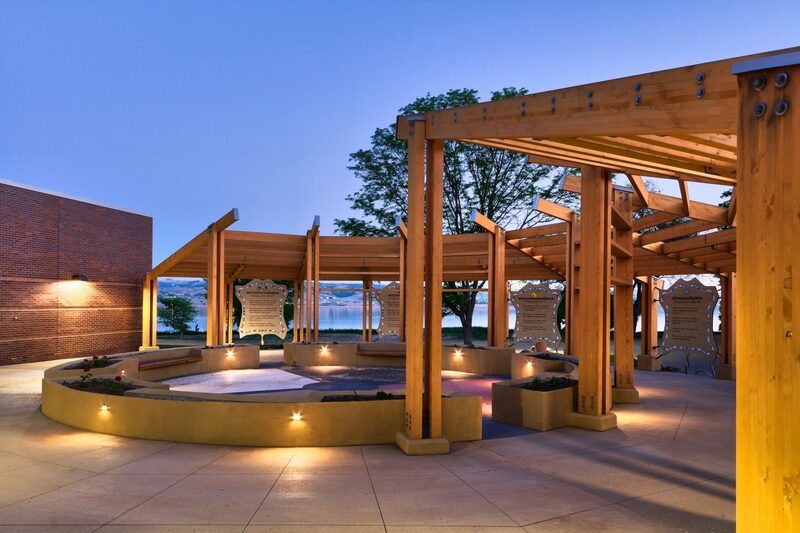 Custom base configurations are available upon request. 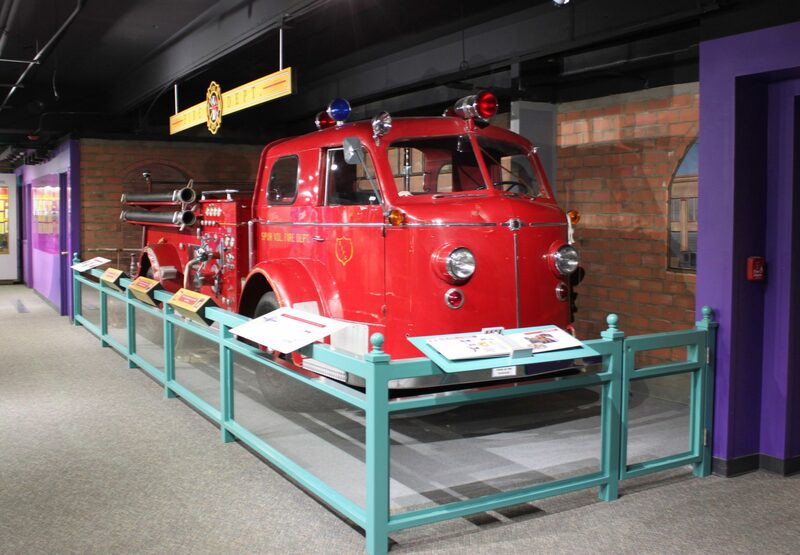 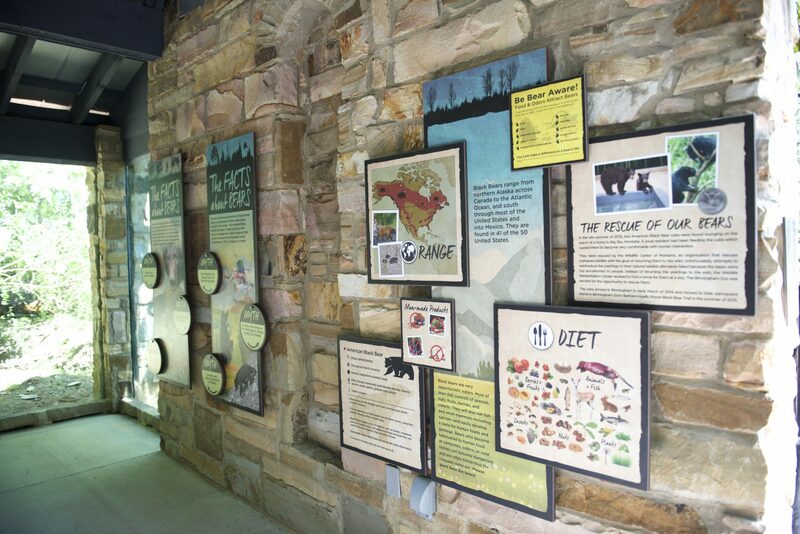 In addition to exhibit bases, we offer a variety of mounting methods and configurations including Z-clips, stainless steel threaded studs on the back of the signs, VHB tape, SignFix extruded channels, through-bolts, custom bracketry and more. 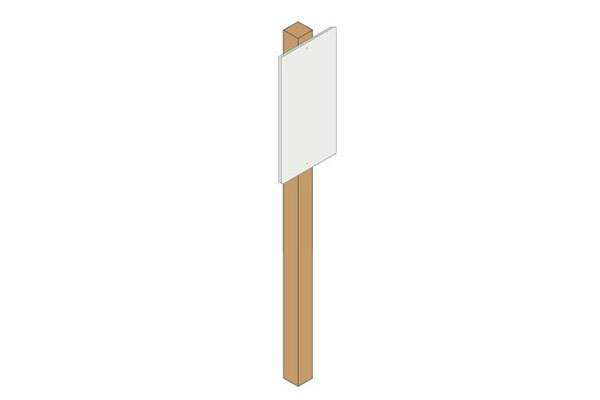 Single post upright exhibit bases are designed to accommodate a variety of sign panel shapes and sizes from 3½ to 12 inches wide, and from 3½ to 24 inches high. 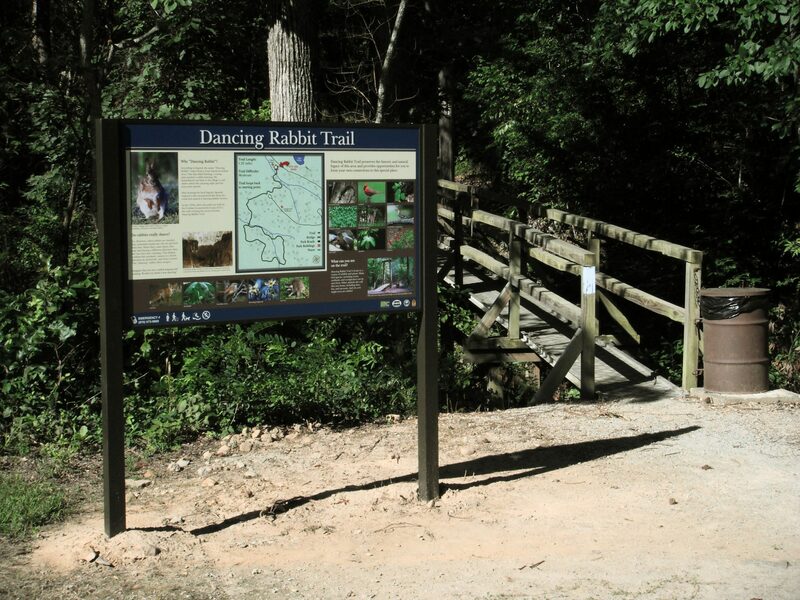 Mounting can be accomplished with through-bolts or with hidden hardware mounted on the back of the sign panel. 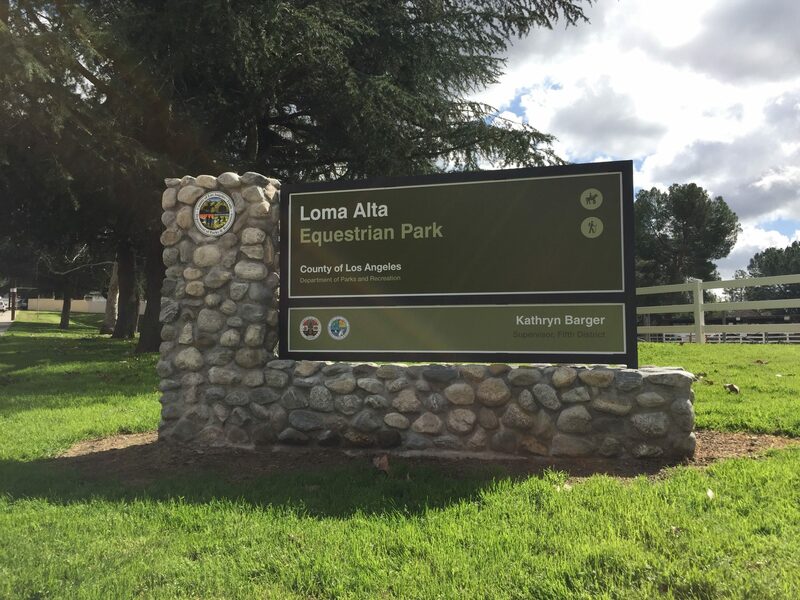 Posts are available for either in-ground or pad mount applications. 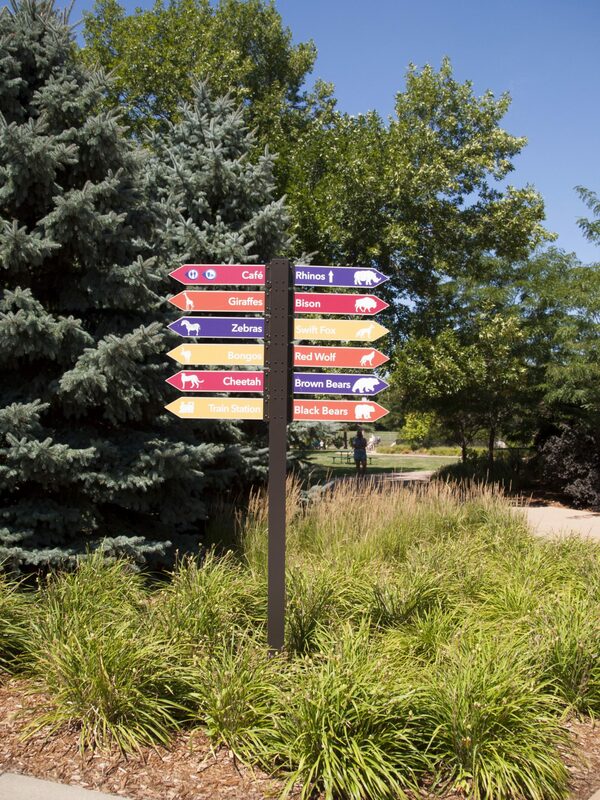 Double post upright exhibit bases are designed to accommodate a variety of sign panel shapes and sizes from 18 to 72 inches wide, and from 12 to 48 inches high. 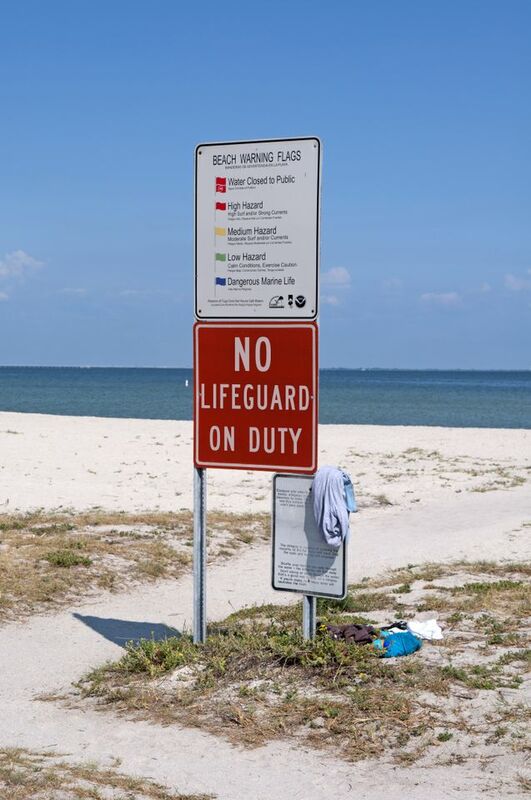 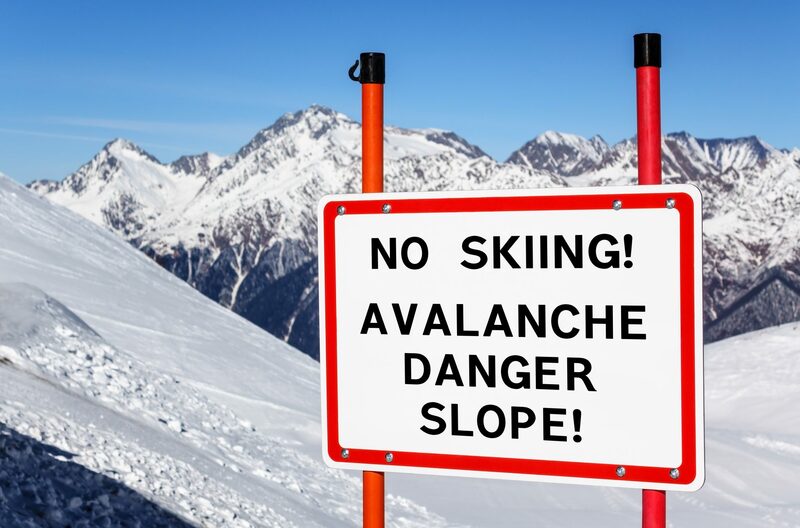 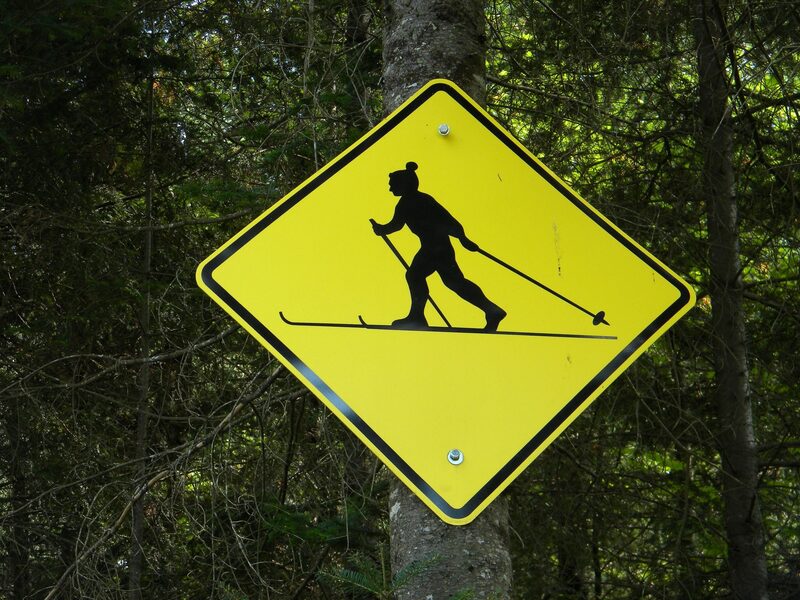 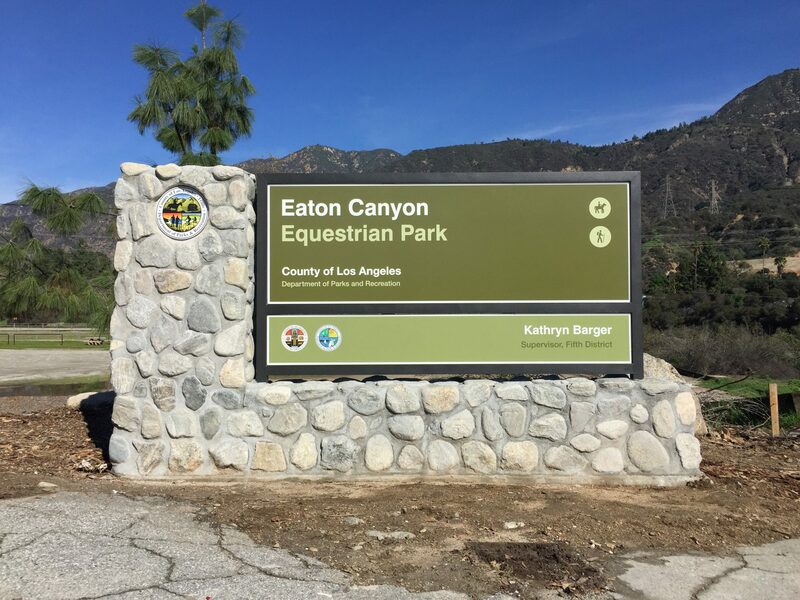 Mounting can be accomplished by placing through-bolts directly through the sign, by using hidden hardware mounted on the back of the sign panel that attaches to the post, or by framing the sign panel in an aluminum extruded frame. 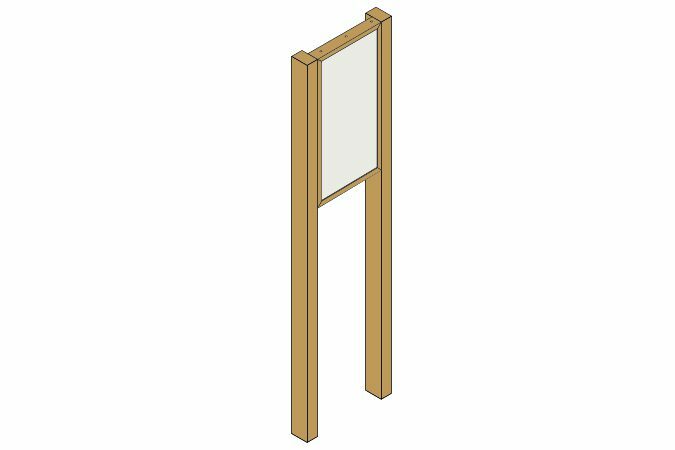 Upright double post exhibit bases have an option to enclose the back side of the display with a back plate in those situations where the back side of the panel can serve as a replacement sign if the front side is ever damaged. 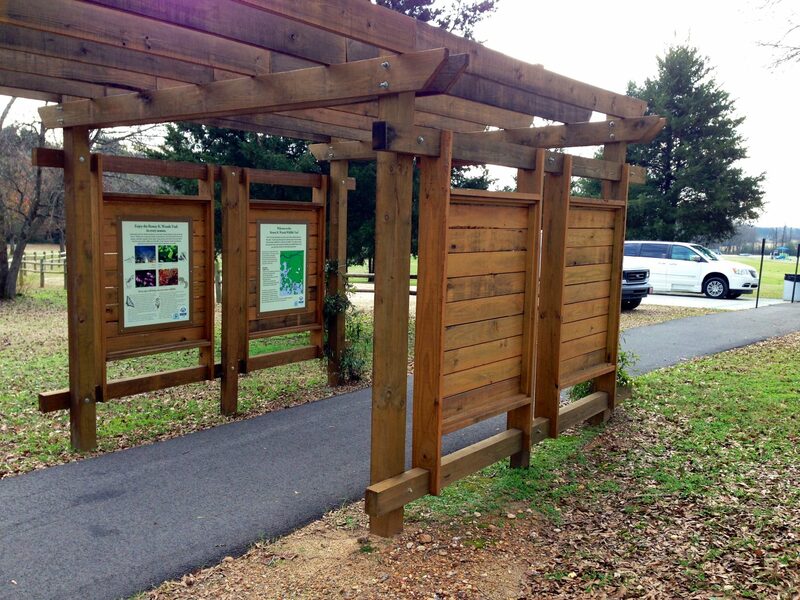 Posts are available for either in-ground and pad mount applications. 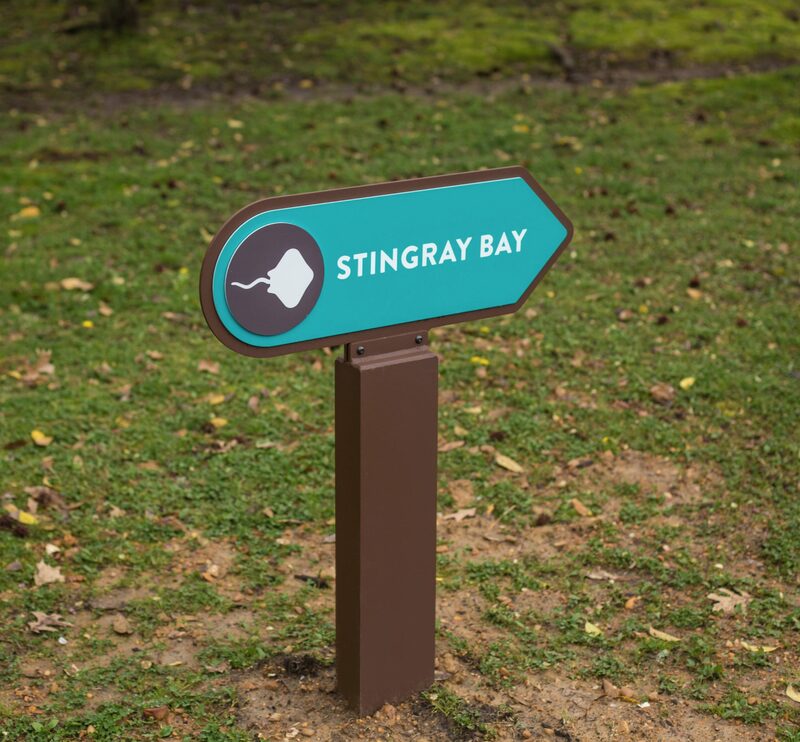 Single post pedestal exhibit bases are designed to accommodate a variety of sign panel shapes and sizes from 10 to 24 inches wide, and from 10 to 24 inches high. 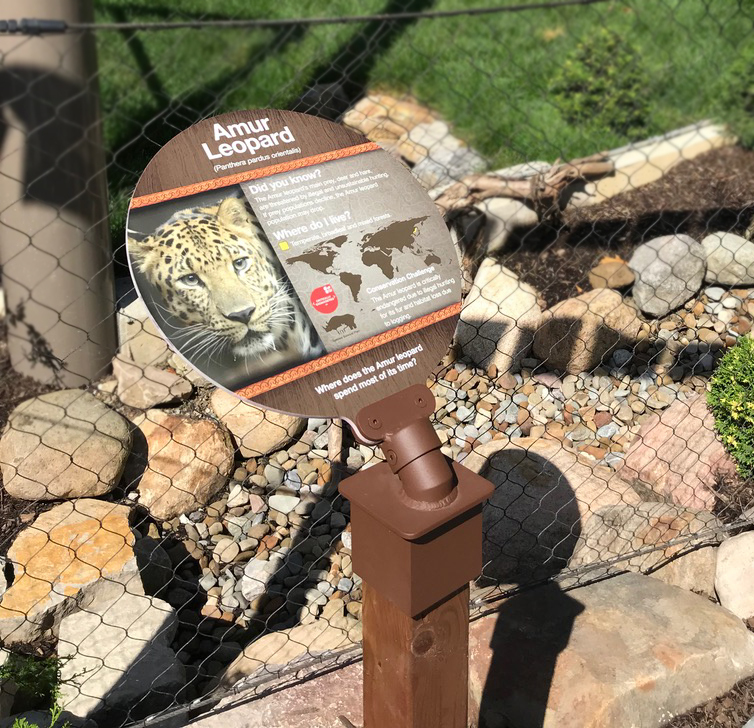 When using pedestal stands, threaded stainless steel studs are embedded into the back of the sign which attach to posts beneath the exhibit base with tamper proof hardware. 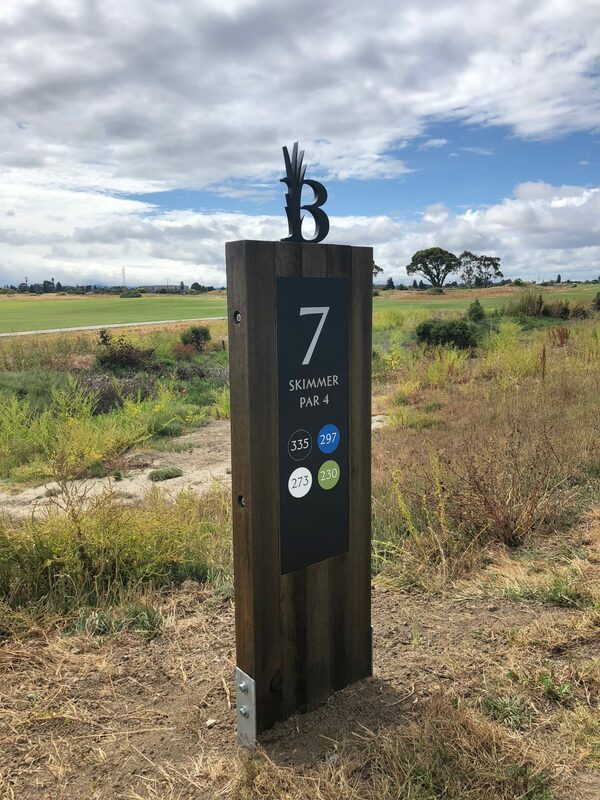 Posts are available for either in-ground or pad mounted applications. 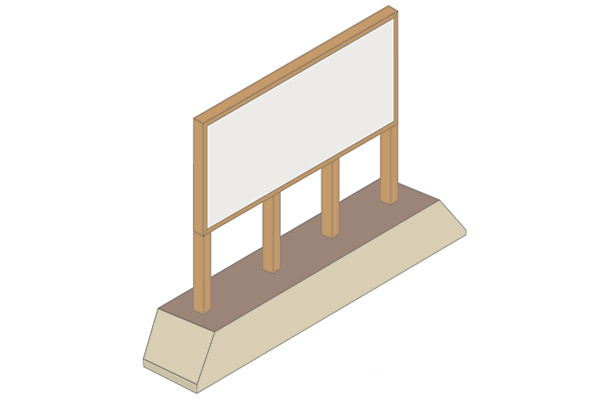 Double post pedestal exhibit bases are designed to accommodate a variety of sign panel shapes and sizes from 18 to 72 inches wide, and from 12 to 48 inches high. 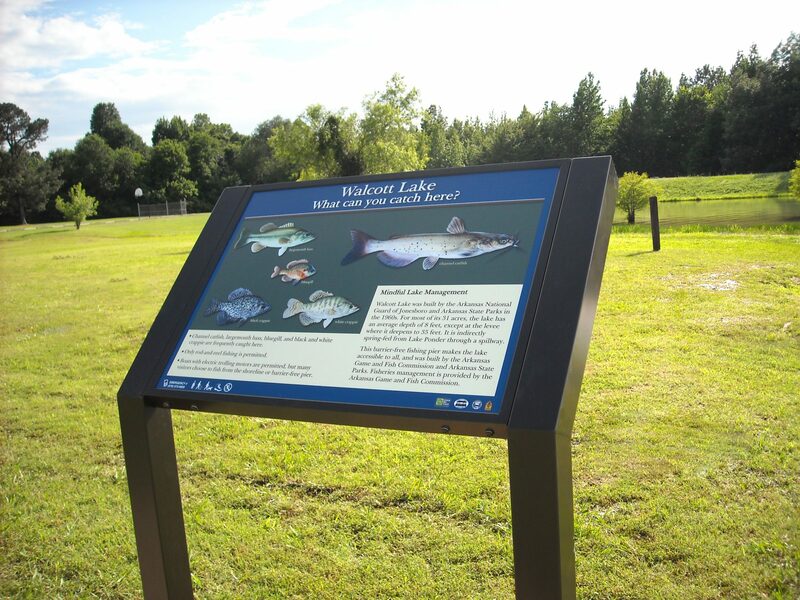 When using pedestal stands, threaded stainless steel studs are embedded into the back of the sign which attach to posts beneath the exhibit base with tamper proof hardware. 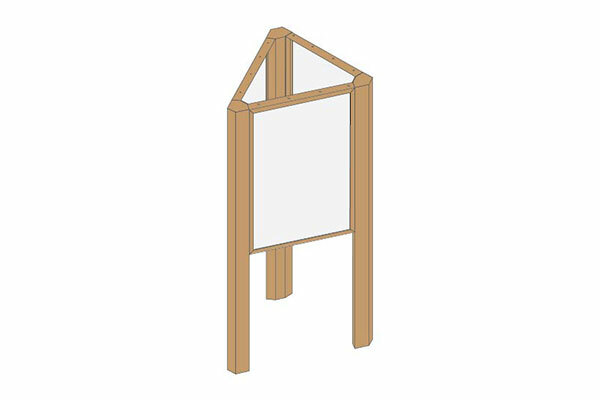 Posts are available for either in-ground or pad mounted applications. 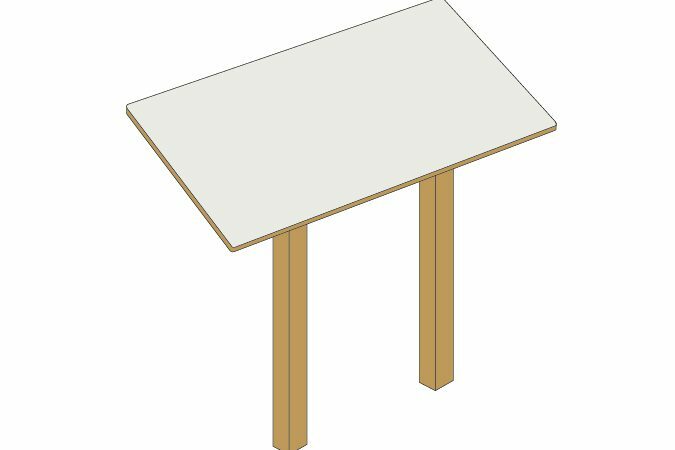 Cantilever exhibit bases are designed to accommodate square or rectangular shaped panel sizes from 18 to 60 inches wide and from 12 to 36 inches high. 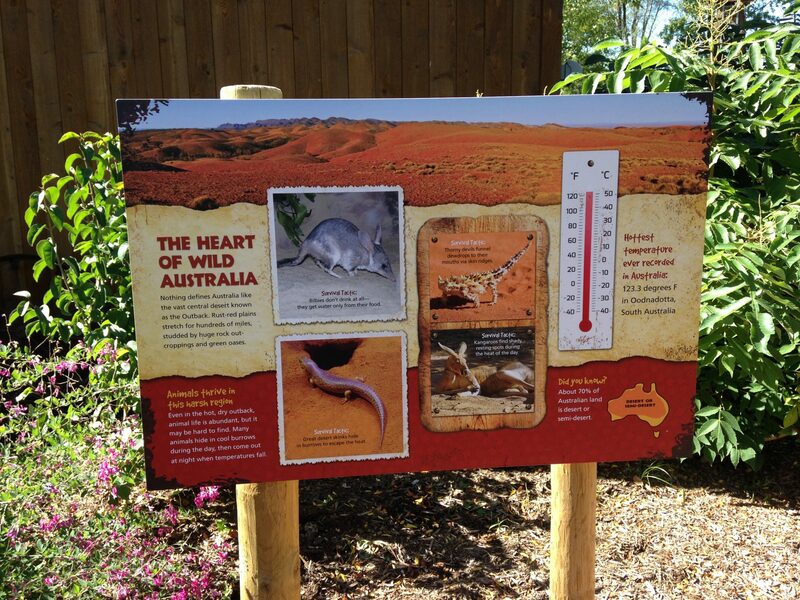 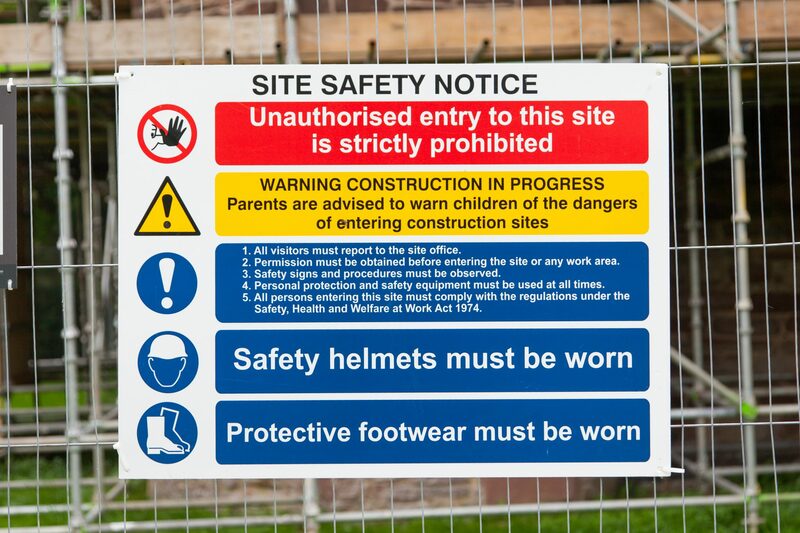 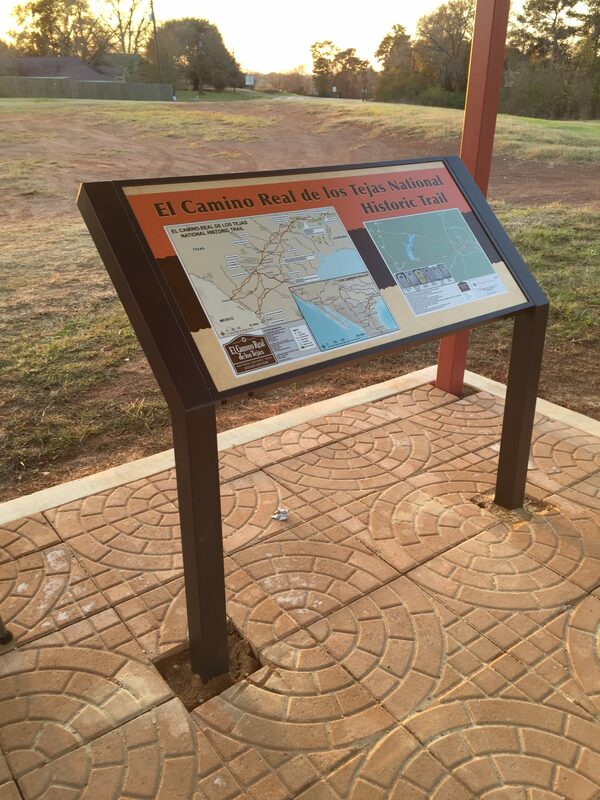 They feature a fully framed sign panel with all mounting hardware hidden beneath the base. 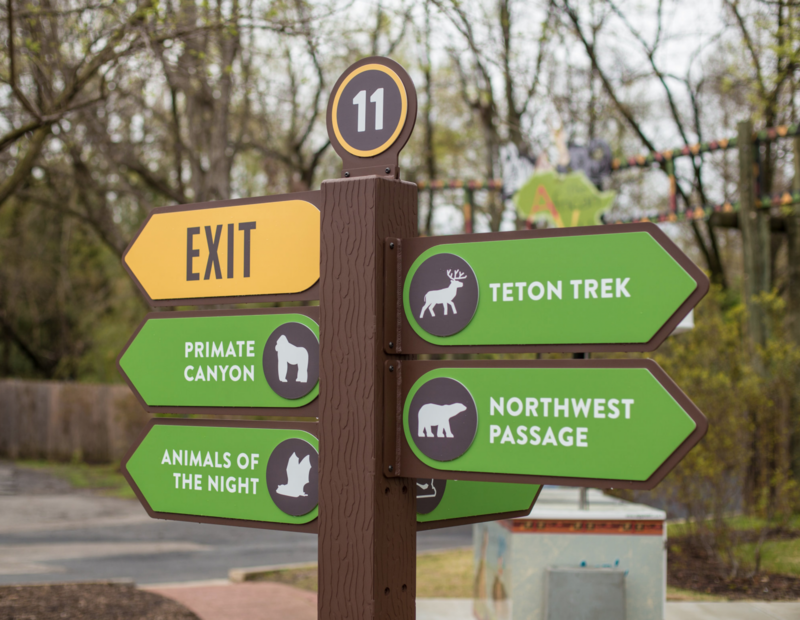 The custom extruded frame is miter cut and displays the sign panel at a 45-degree angle. 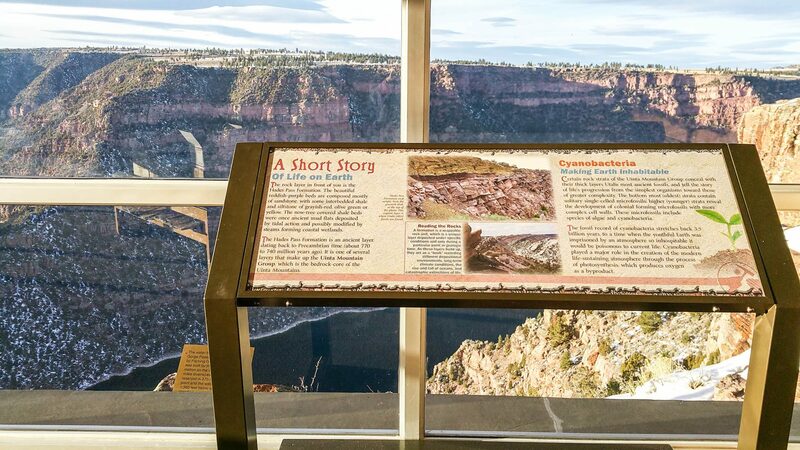 Cantilever exhibit bases have an option to enclose the back side of the display with a back plate in those situations where the back side of the panel can serve as a replacement sign if the front side is ever damaged. 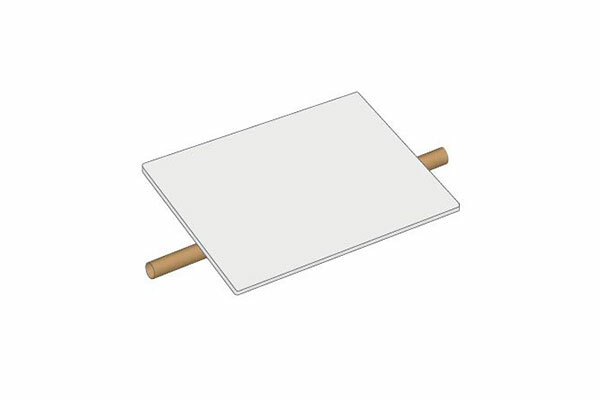 Posts are available for in-ground, pad mounting or sled base applications. 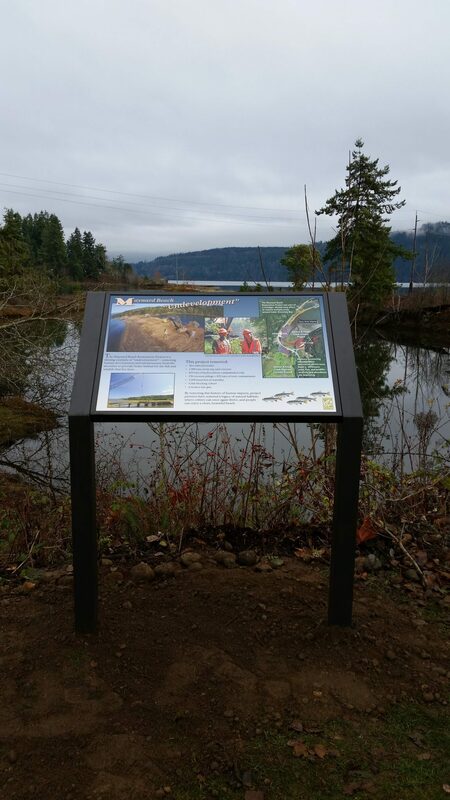 Plant stands are typically designed to accommodate smaller sign panels ranging from 6 to 12 inches high and from 8 to 18 inches wide. 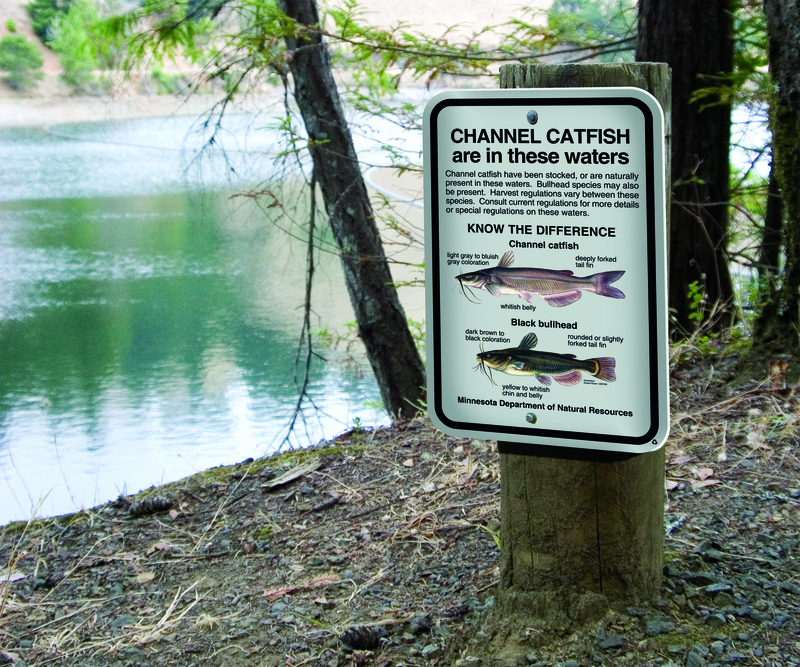 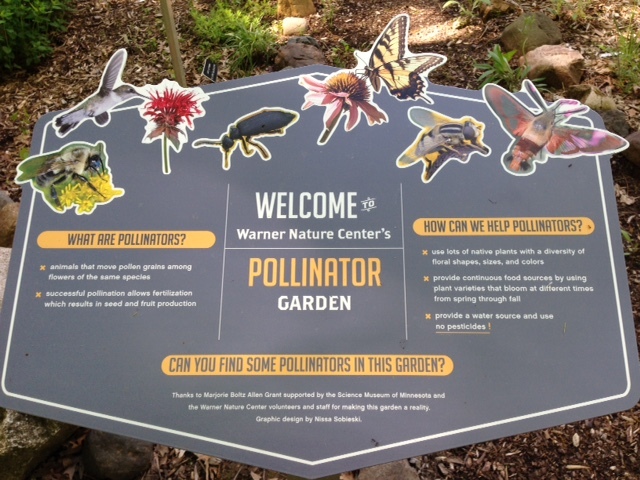 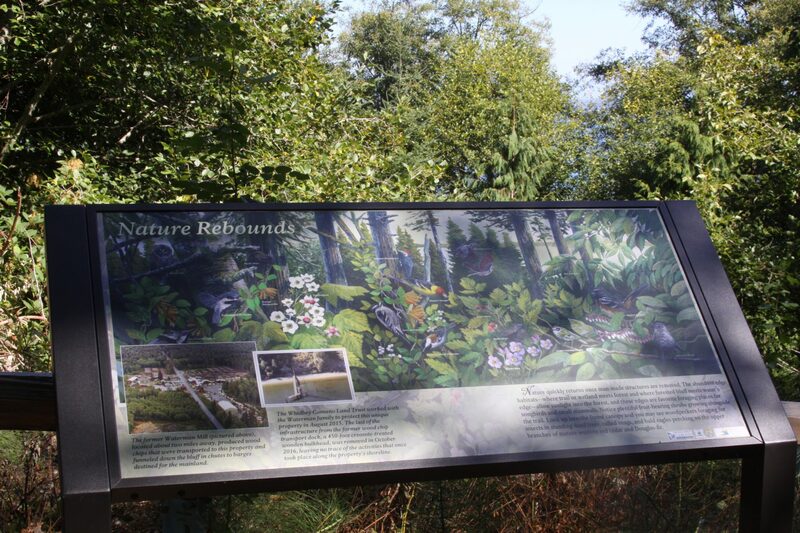 These signs typically sit 15 to 18 inches off the ground and are positioned in near proximity to the plants being described on the sign. 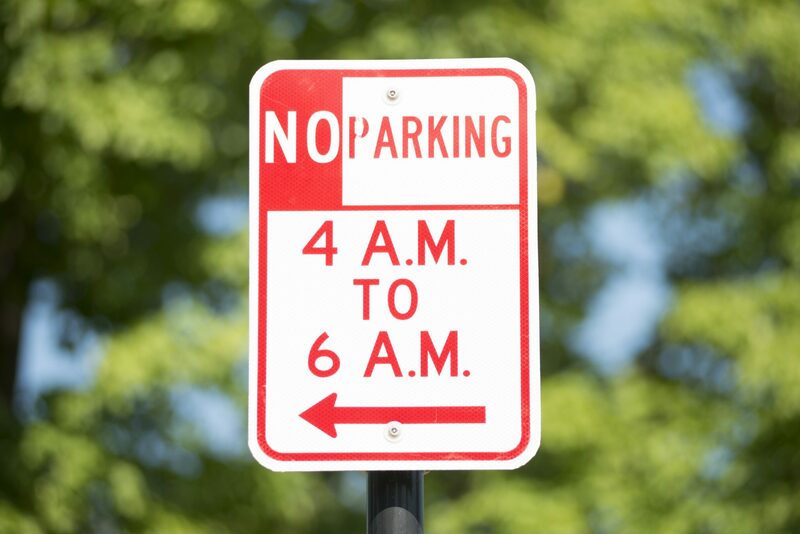 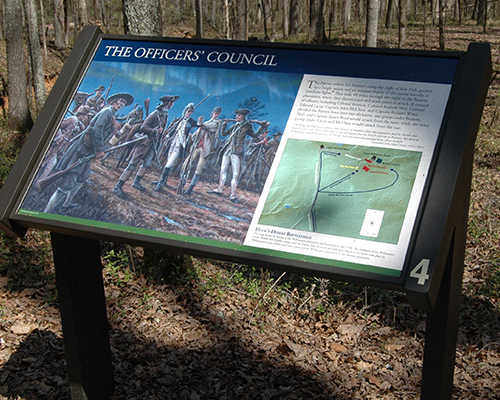 The sign is typically mounted at a 30-degree angle to provide easier reading from a standing position. 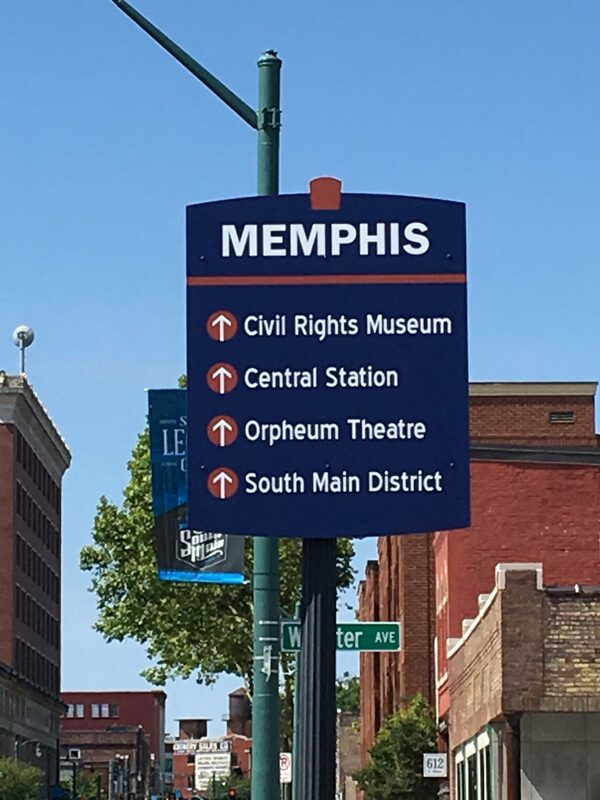 Mounting of the sign to the stand can be accomplished with through-bolts, hidden hardware mounted on the back of the sign panel, or with high-bond tape. 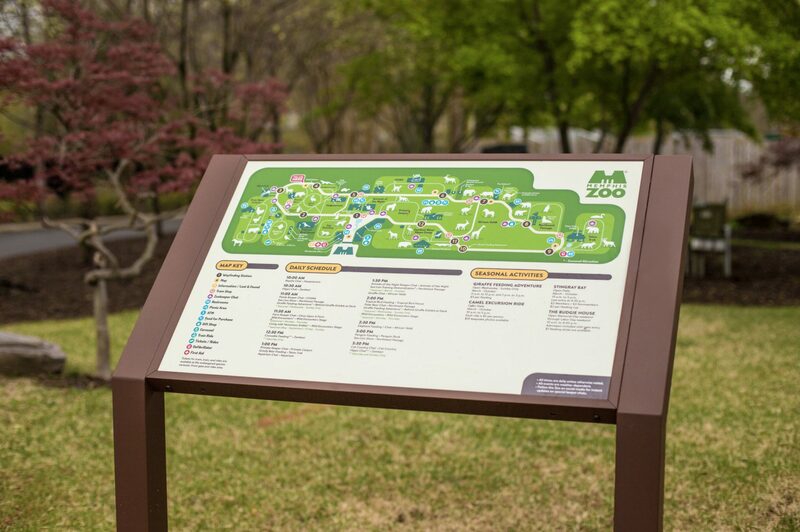 The plant stand typically extends 18 inches underground with a 6-inch tail that prevents the signs from being easily pulled-out of the ground. 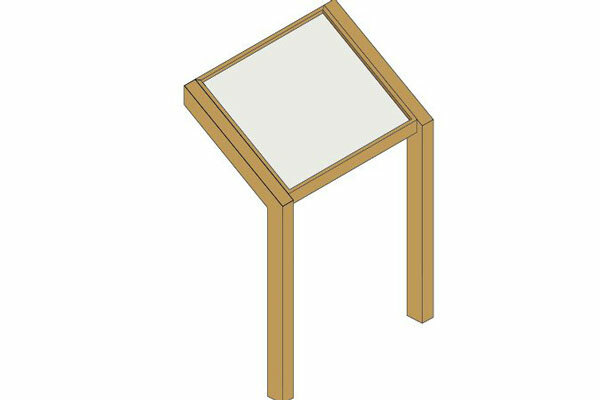 Additional custom plant stand configurations are available upon request. 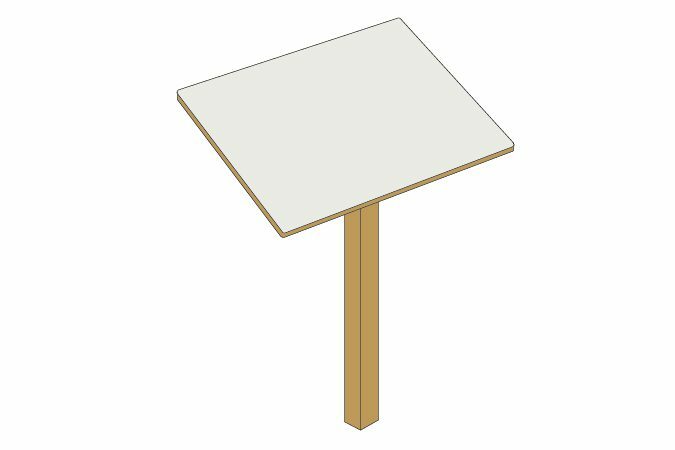 Rail Mount exhibit bases are designed to accommodate a variety of panel sizes and shapes from 10 to 96 inches wide and from 10 to 36 inches high. 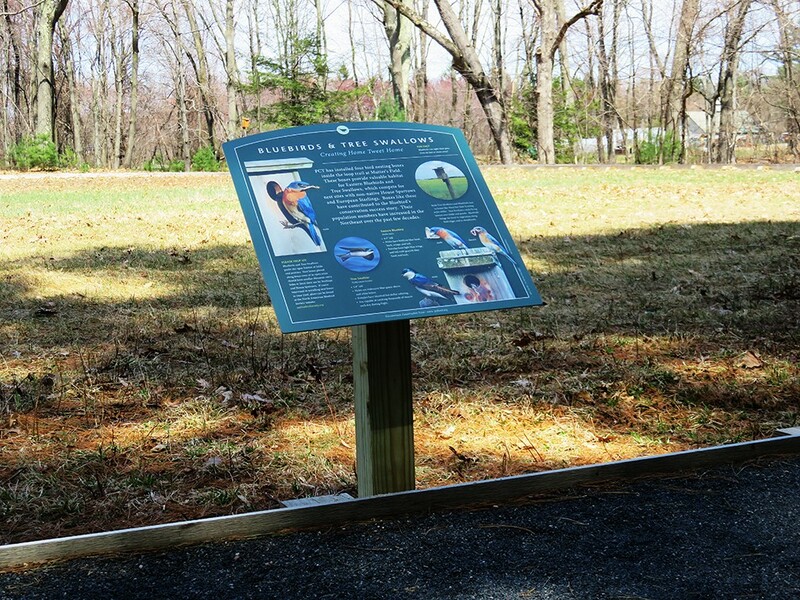 When using rail mount exhibit bases, threaded stainless steel studs are embedded into the back of the sign which attach to support posts beneath the exhibit base with tamper proof hardware. 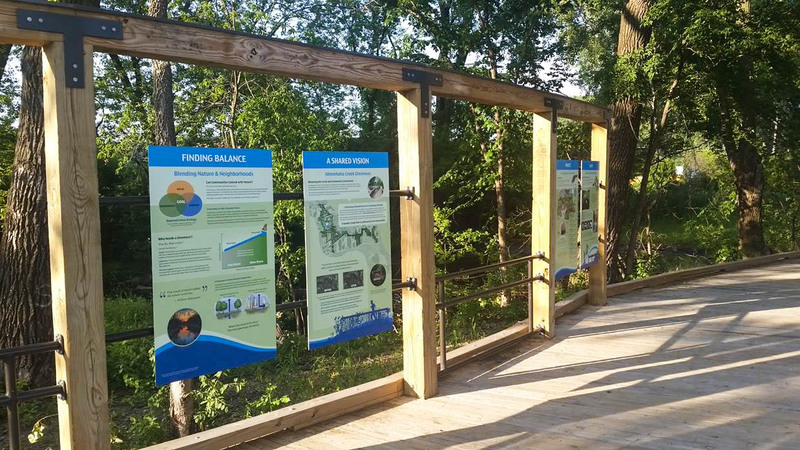 The panels are displayed at a 45-degree angle off the rail. 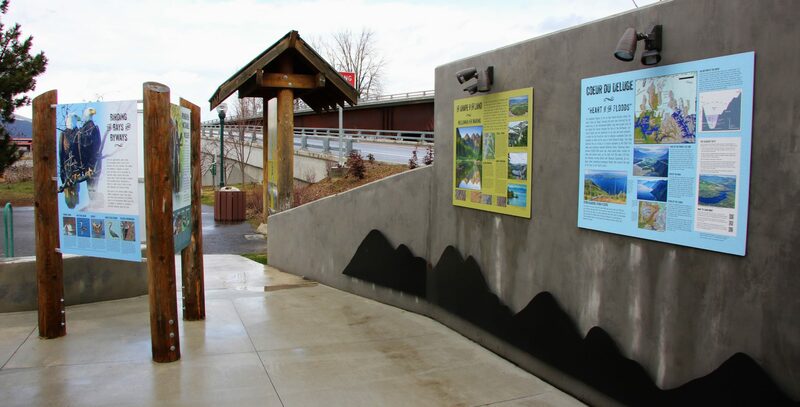 The rail mount exhibit bases are designed to attach to a variety of rail applications ranging from 4 x 4 posts, to flat or round railings. 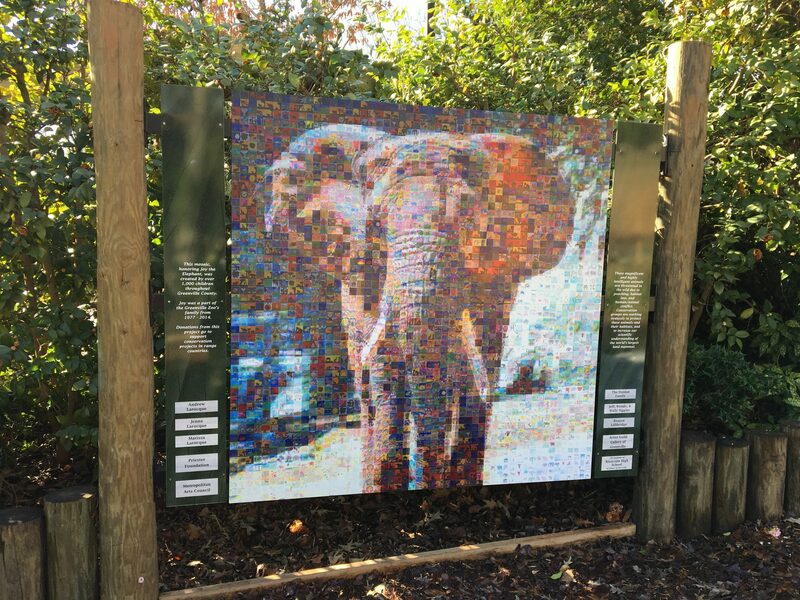 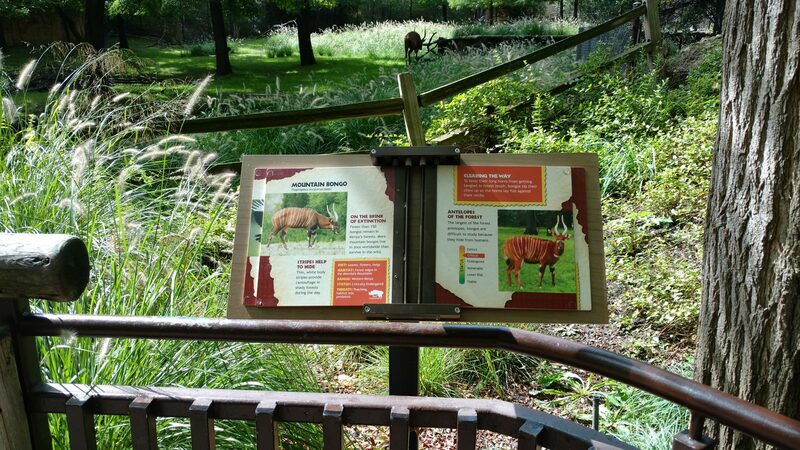 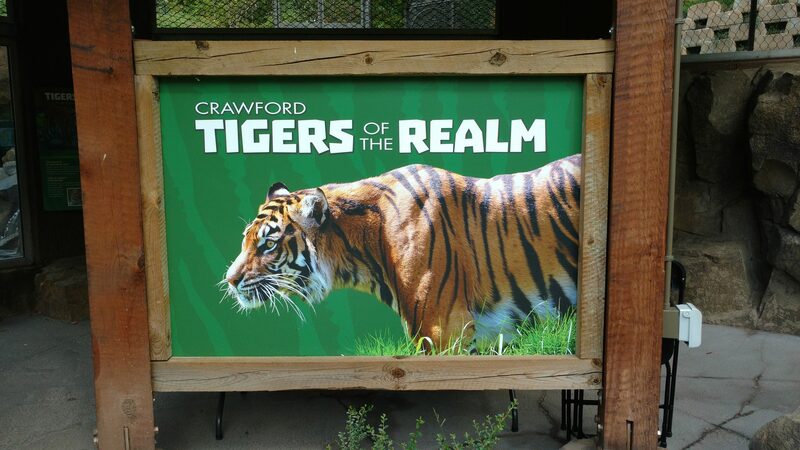 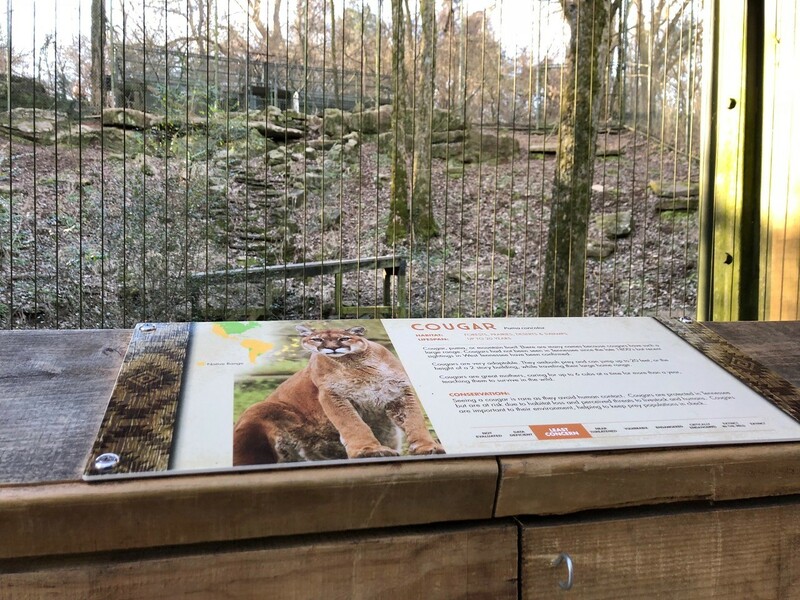 Durable ImageLOC® Flip Books provide an opportunity to display a wide-variety of information in one exhibit, minimizing the space required to highlight and describe the featured species or elements. 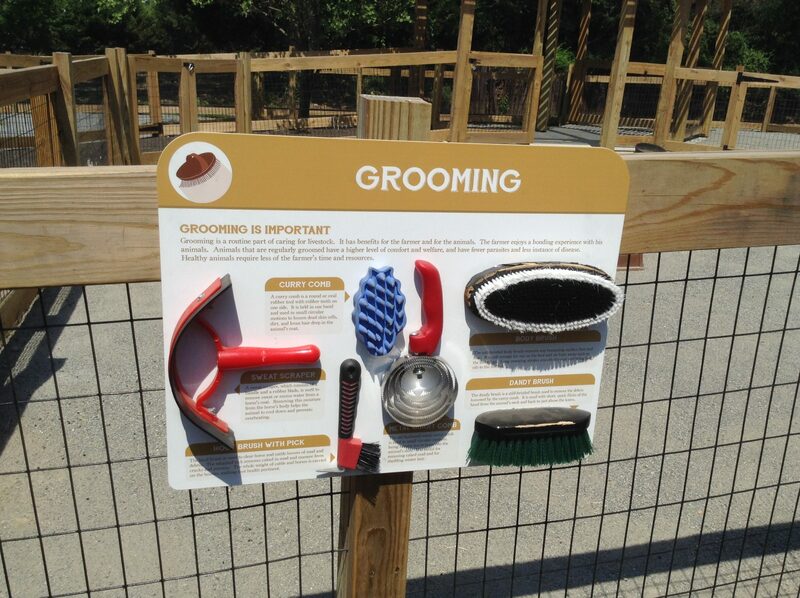 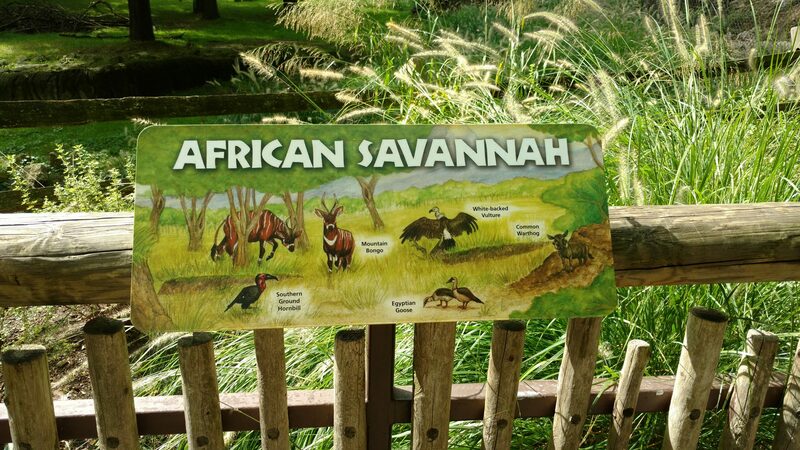 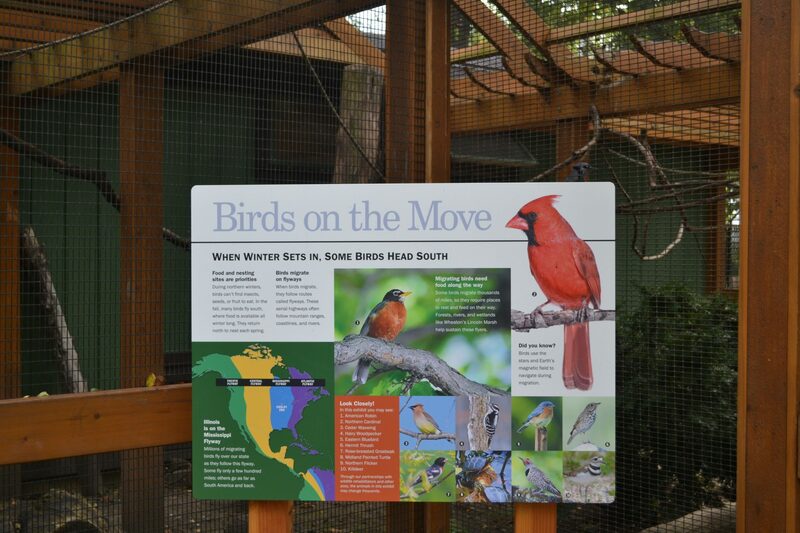 Examples would be aviary, aquatic or zoo displays where there may be many species to describe in one area. 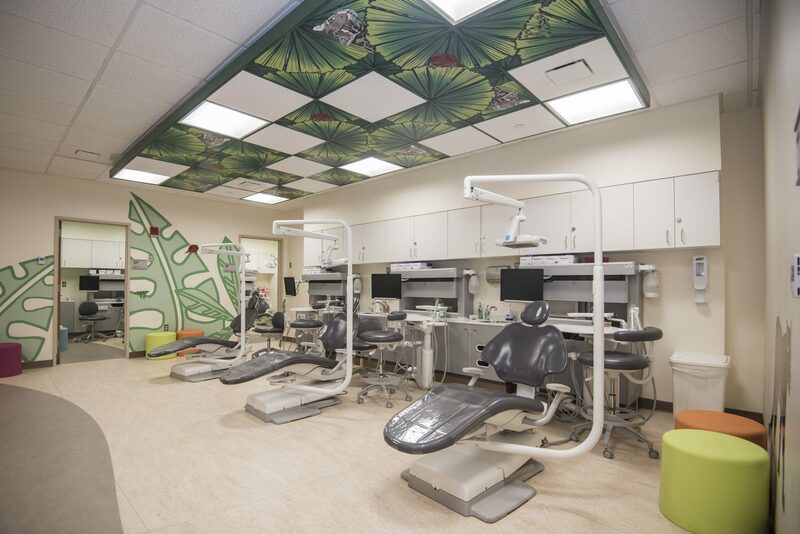 Whether indoors or outdoors, the ImageLOC® flip book is warranted not to fade, crack, peel or delaminate for a minimum of ten years. 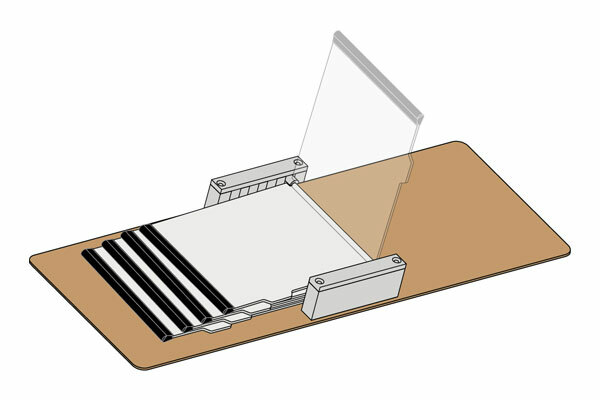 These flipbooks can be displayed on tabletops, on single or double-post pedestal stands, or hanging on a wall with custom wall brackets. 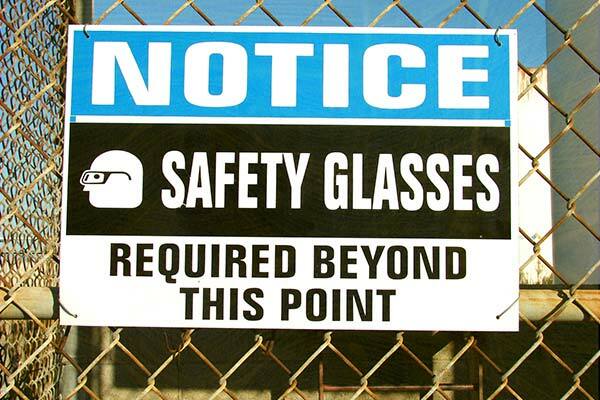 Page sizes can be customized based on your needs. 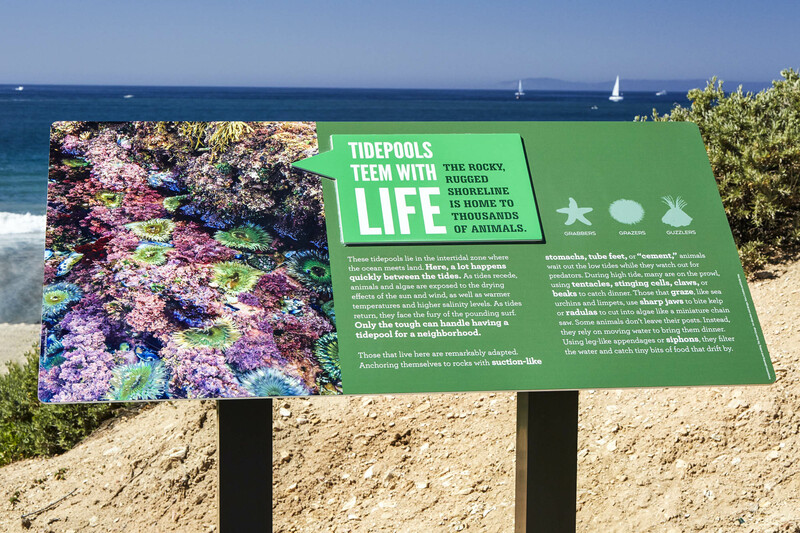 The number of double-sided pages in your flip book can range from three pages to ten double-sided pages. 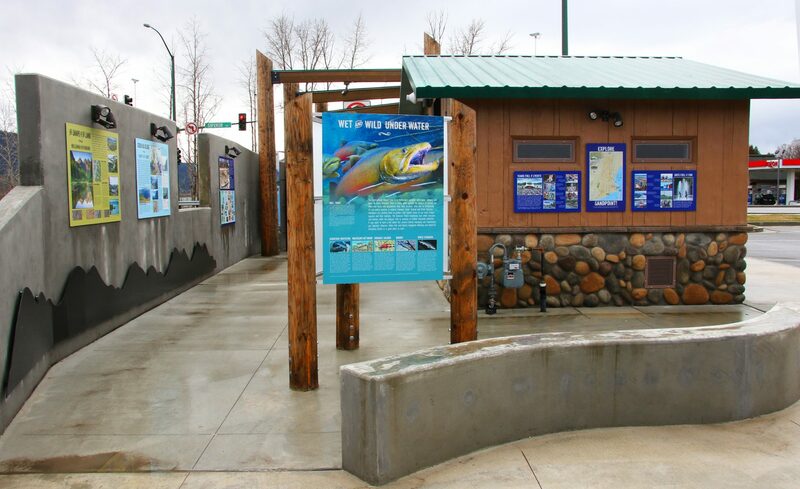 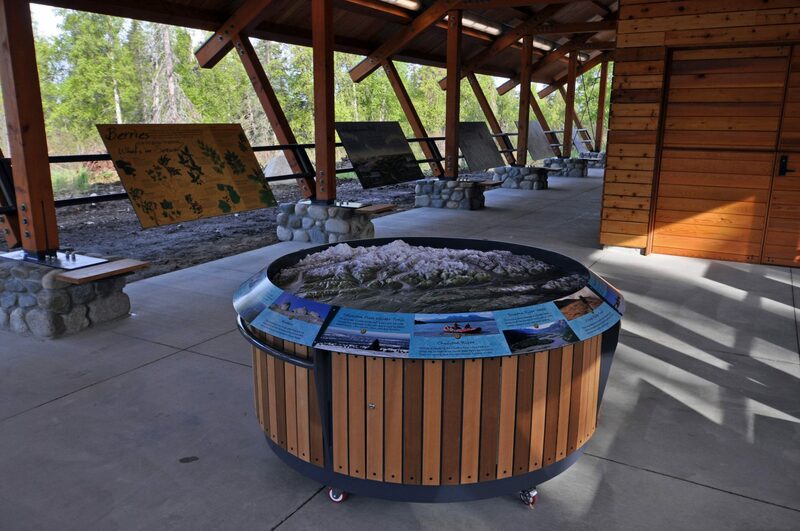 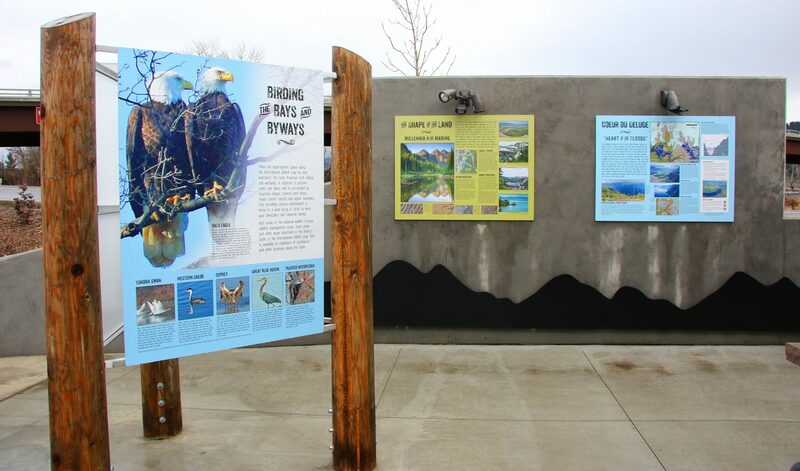 Kiosk exhibit bases are used commonly by federal, state, municipal and private organizations in park and recreation, zoos, aquariums, theme parks and more as a means of communicating information to the public. 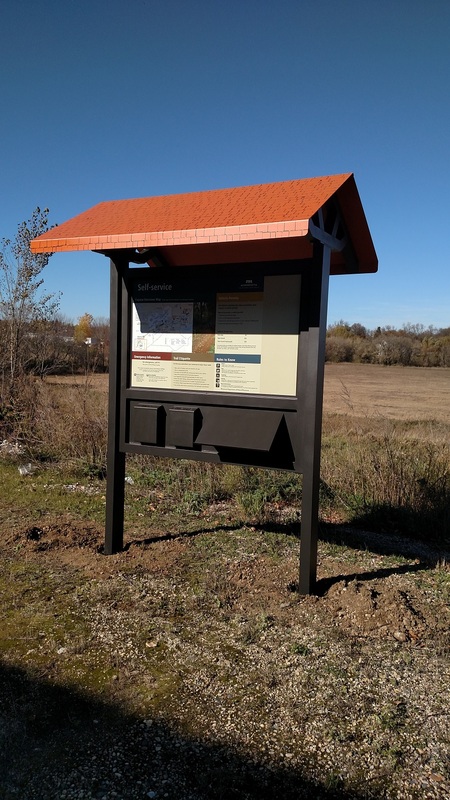 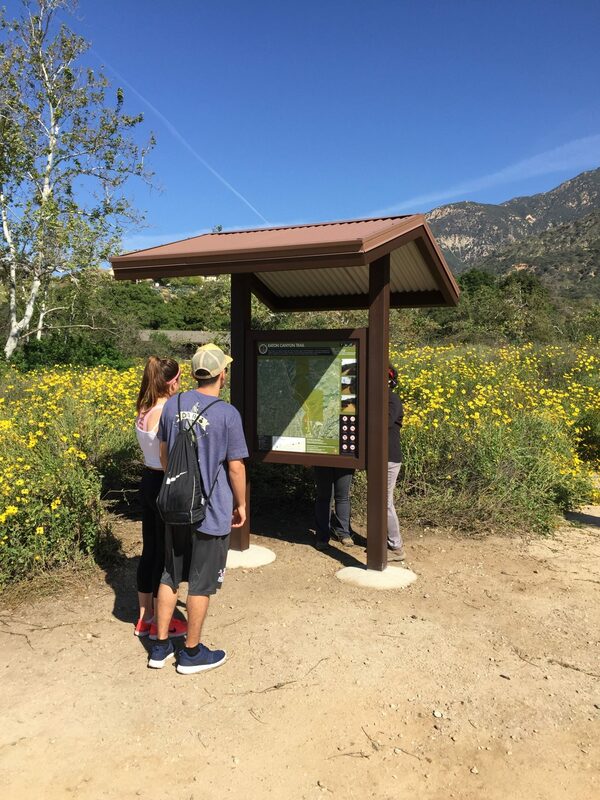 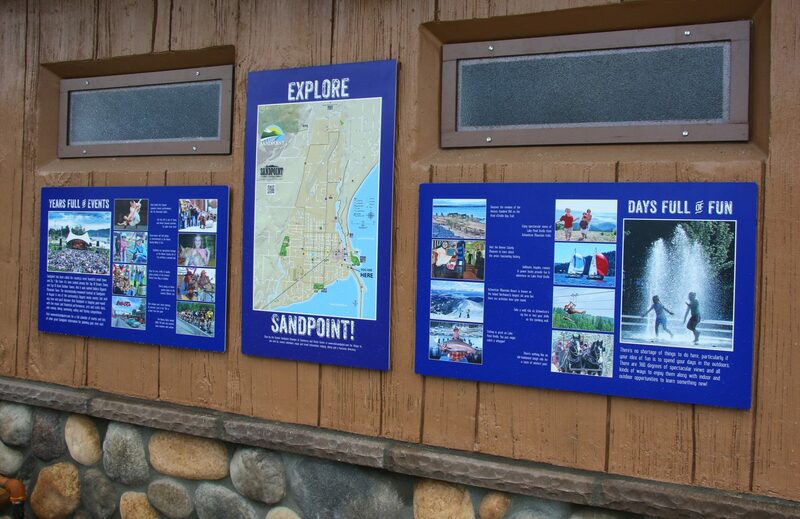 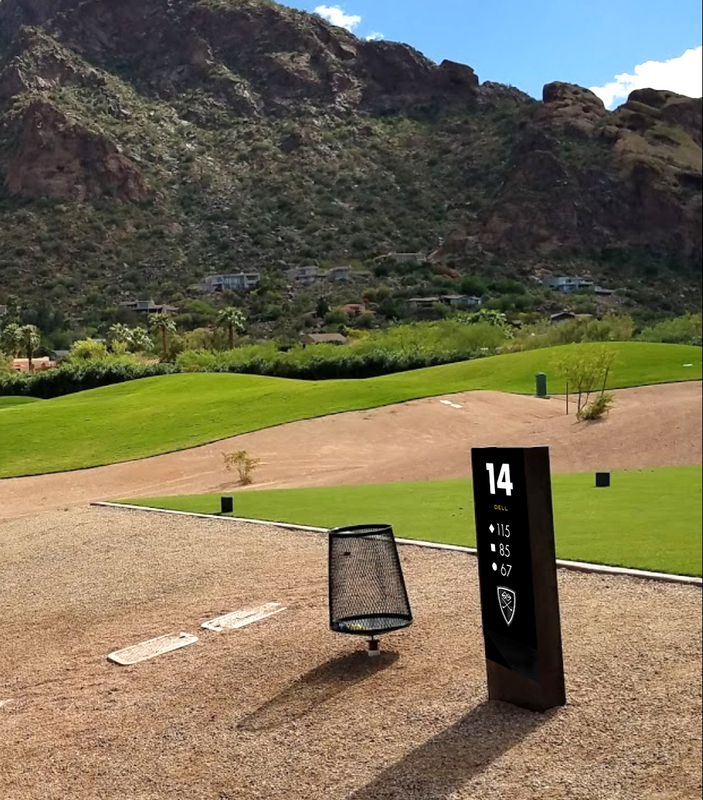 While many of these kiosks are constructed of wood and built on-site by the governing body controlling the recreation area, Gopher Sign company offers a variety of durable, powder coated aluminum kiosk configurations to meet your needs. 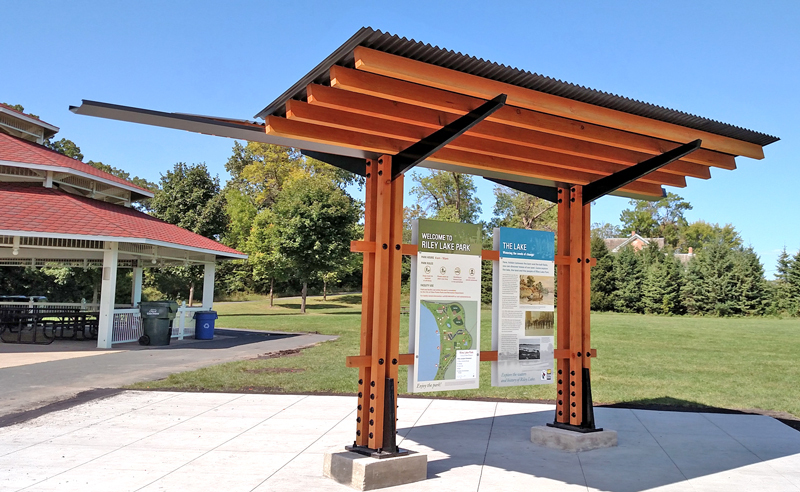 Whether your kiosk requirements are triangle-shaped, four-sided or roofed, we offer a kiosk solution that installs quickly and is designed to last. 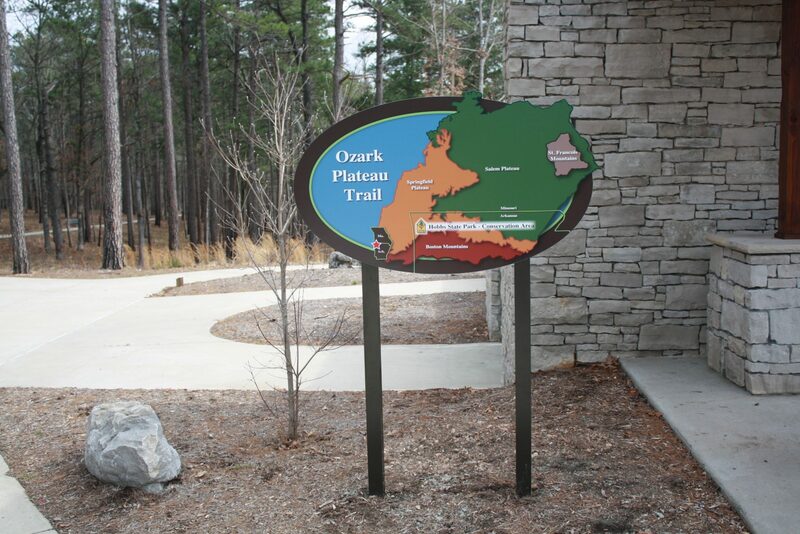 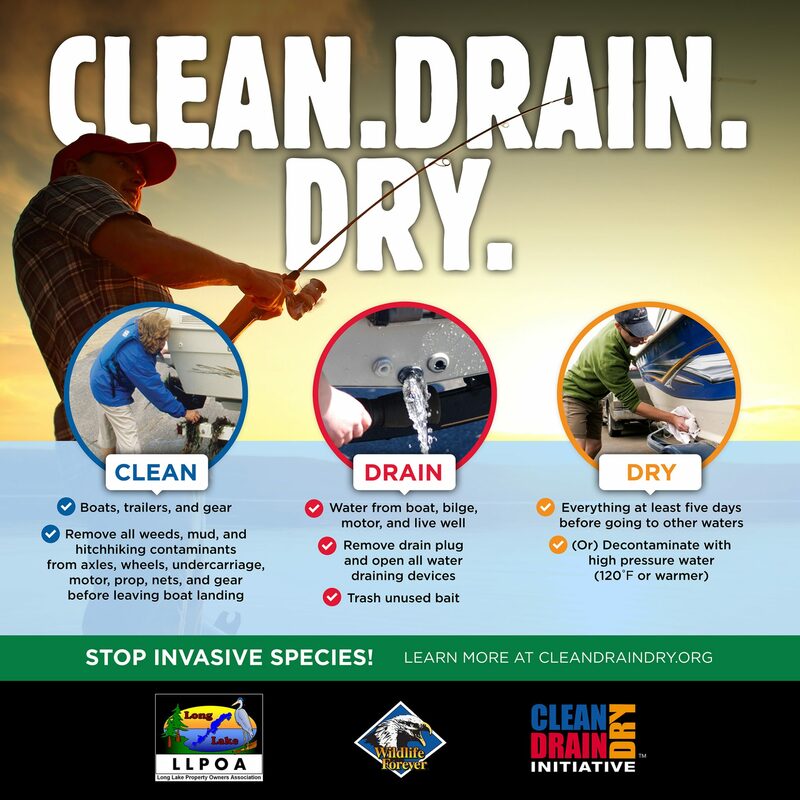 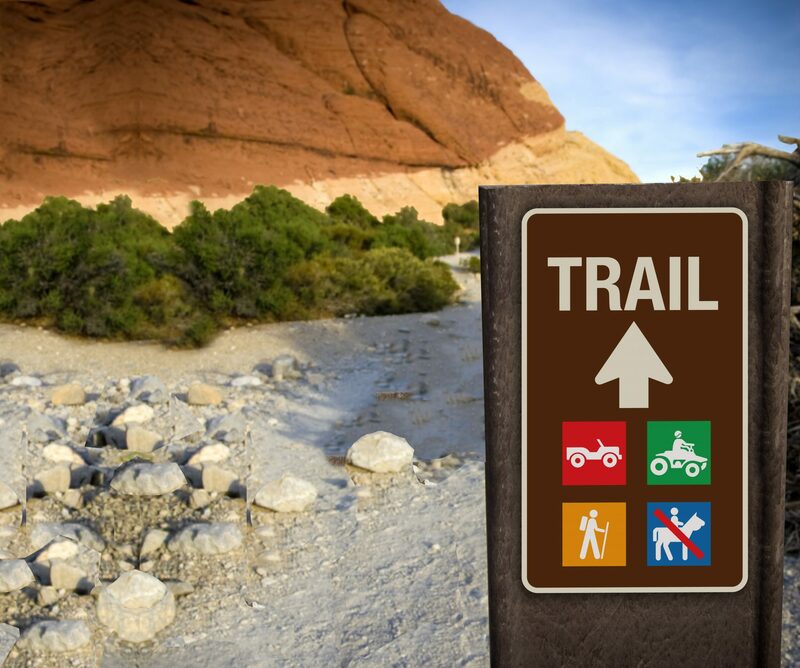 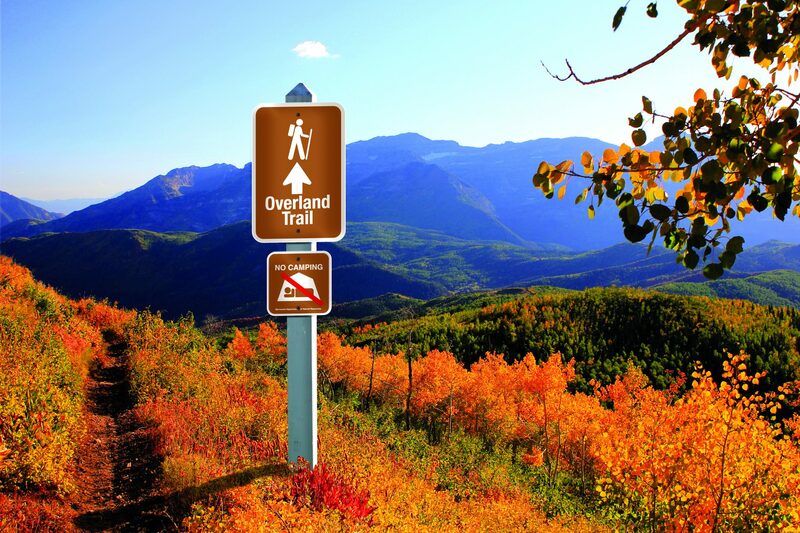 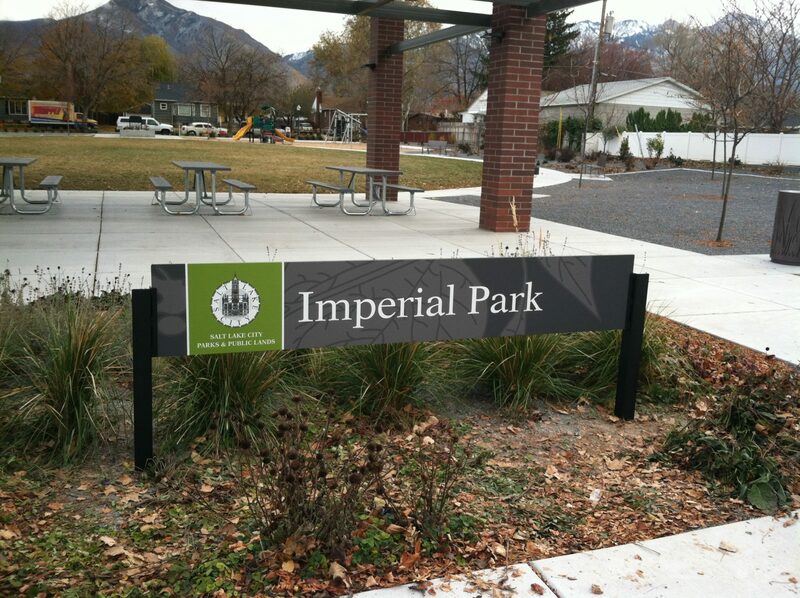 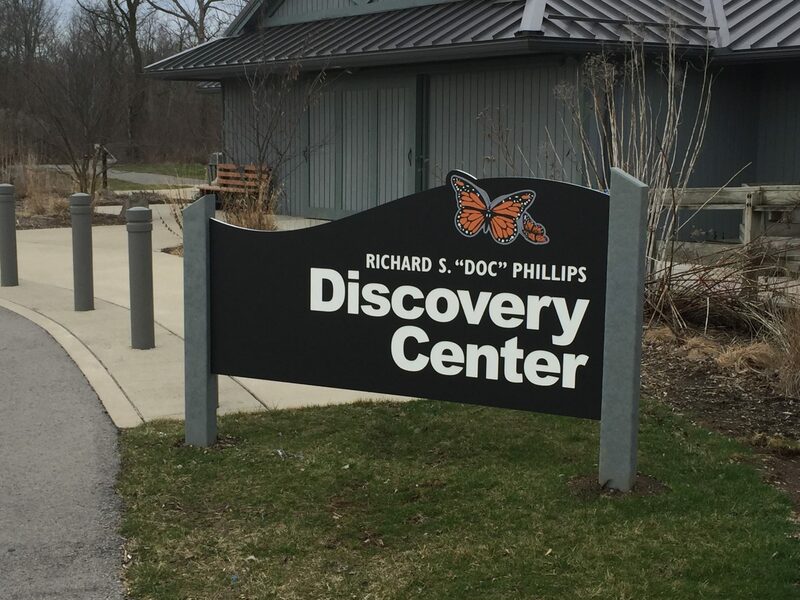 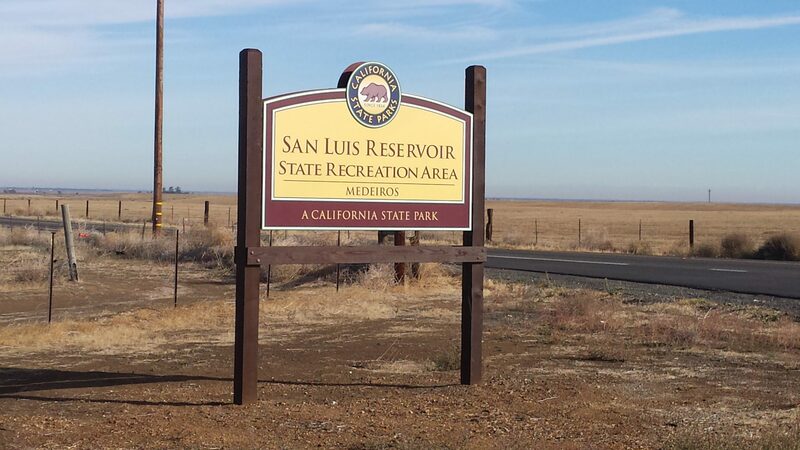 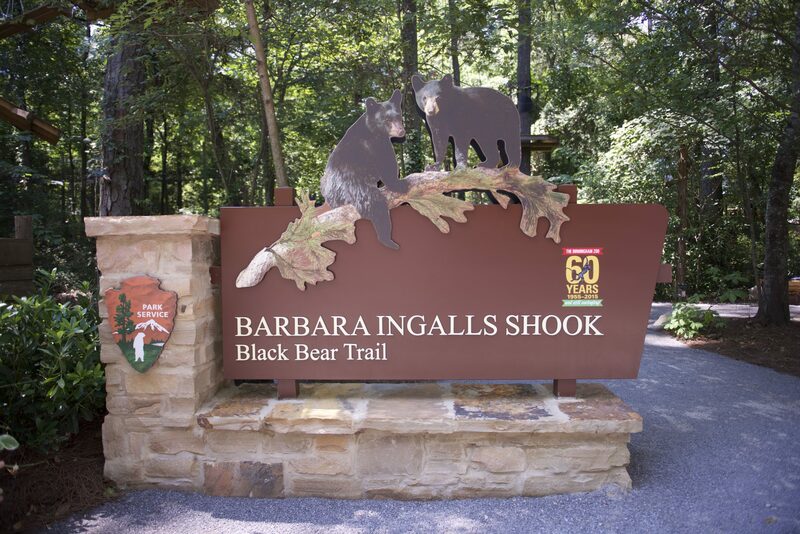 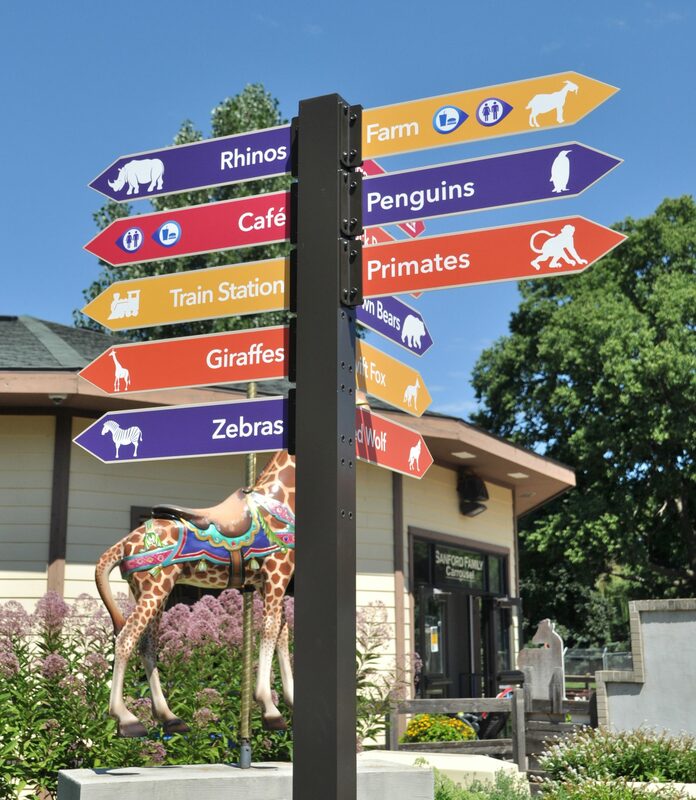 Monument signs are larger signs that are typically used as entrance signs in city, county, state and federal parks, commercial buildings, office parks, zoos, aquariums, theme or amusement parks and other large public areas. 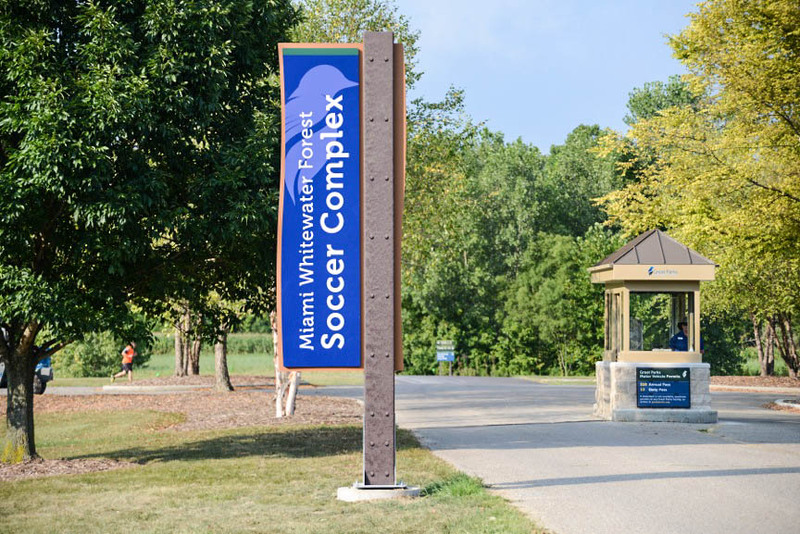 They typically identify the grounds or facility on which they sit and feature large type designed for easy viewing from a distance or from a moving vehicle. 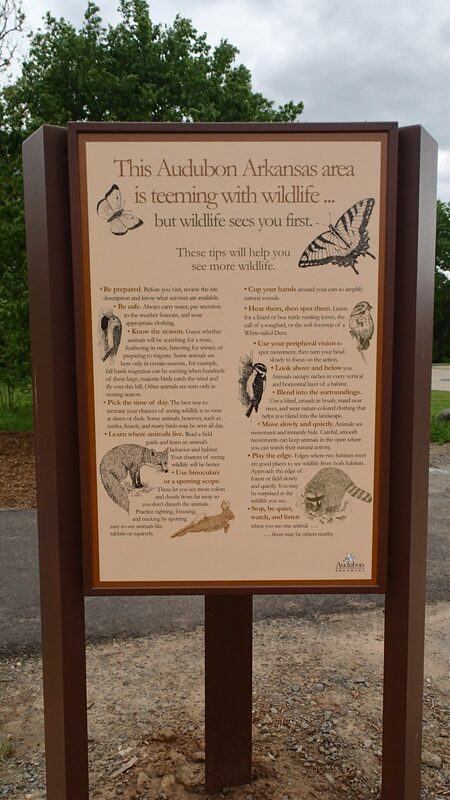 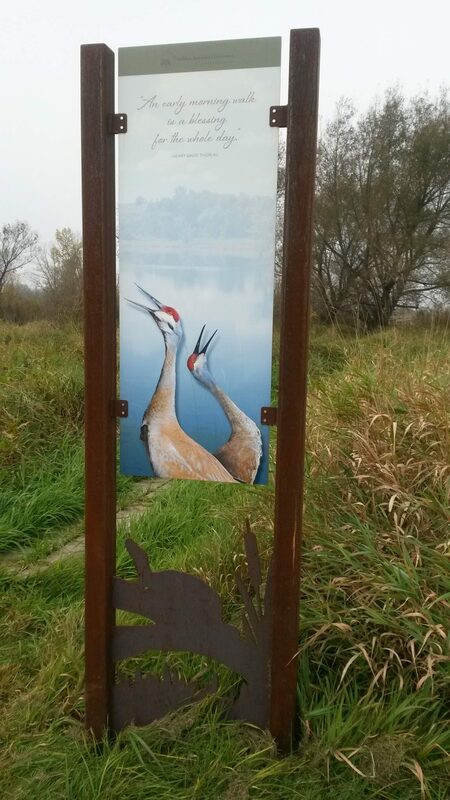 There are multiple configurations and designs of monument signs available. 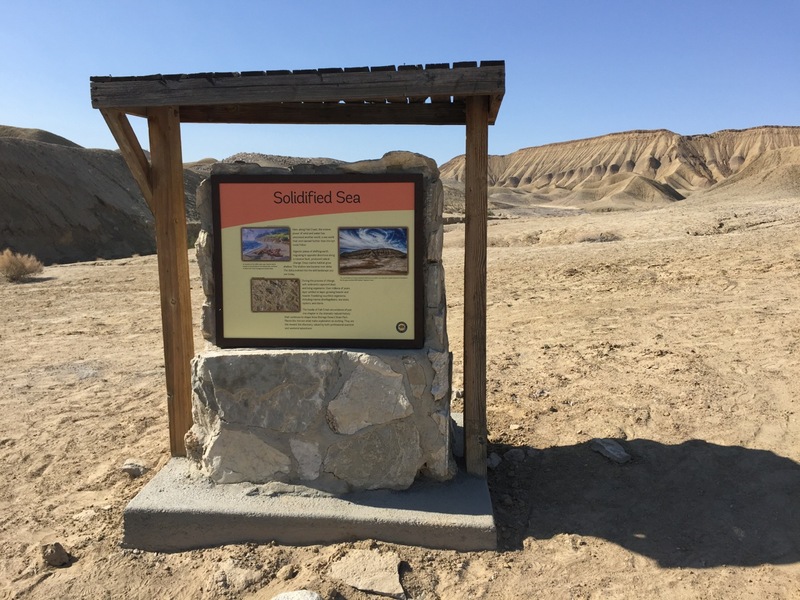 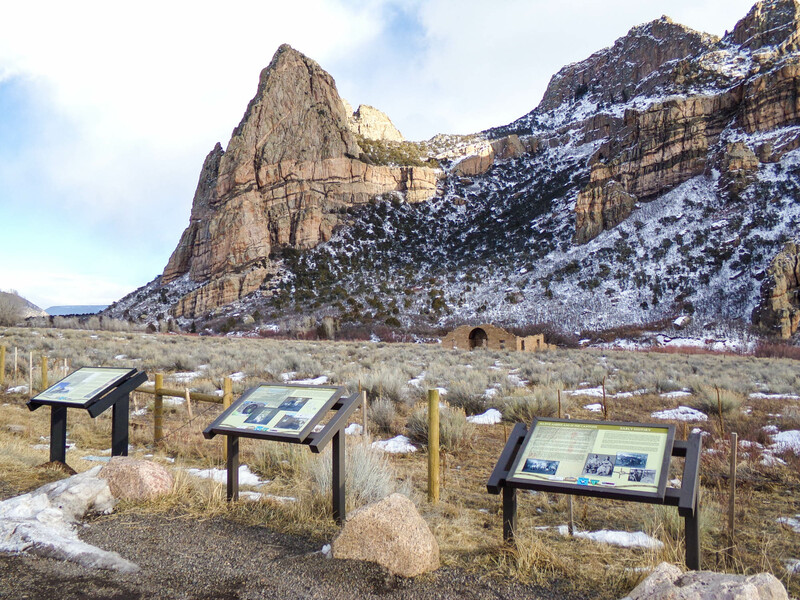 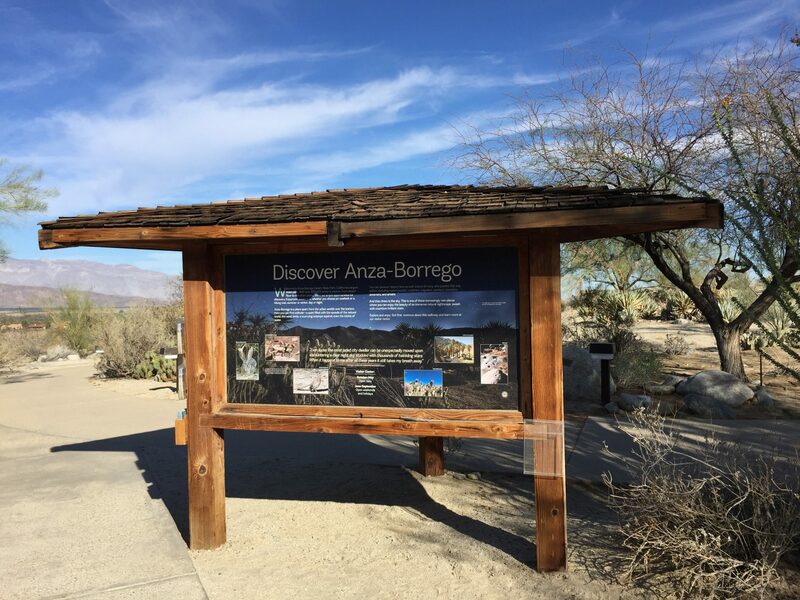 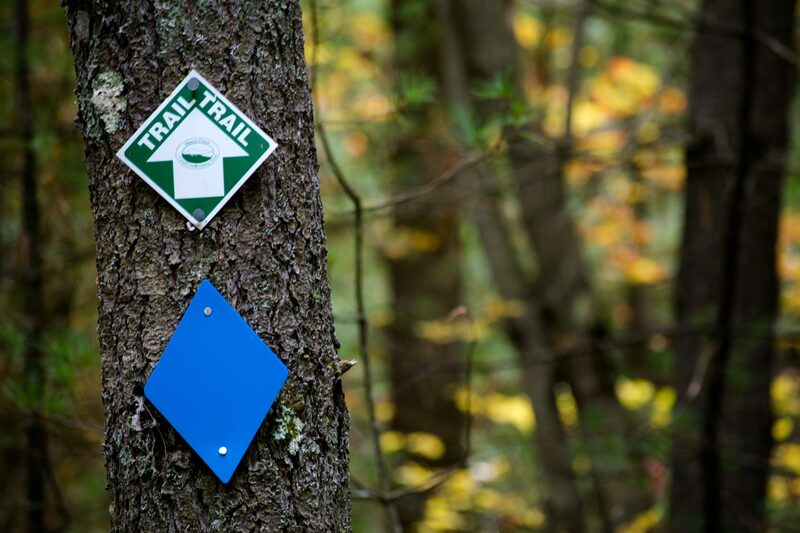 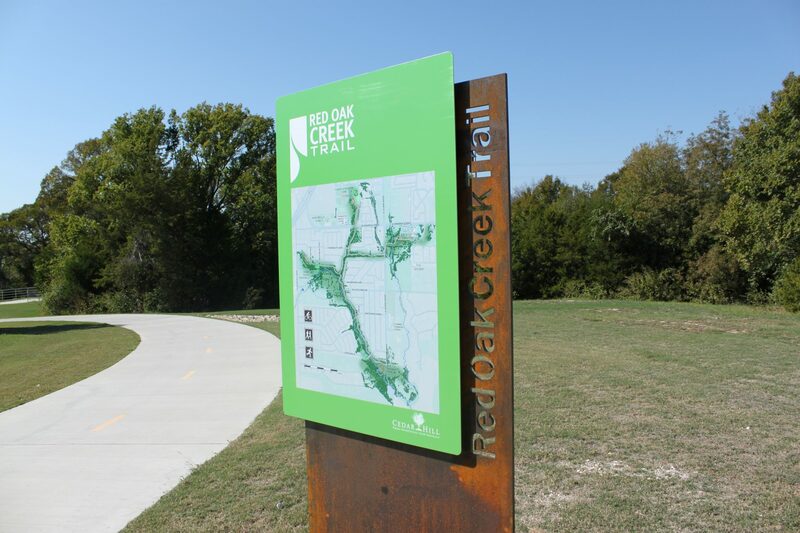 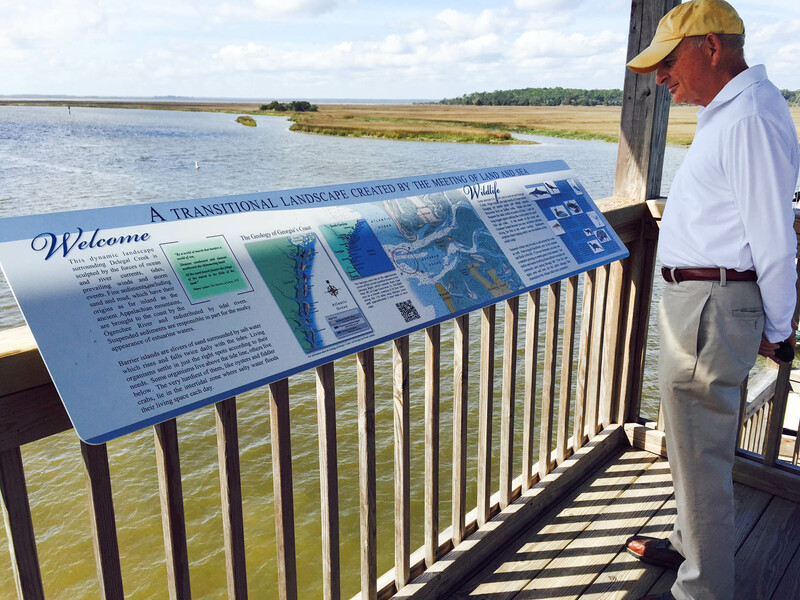 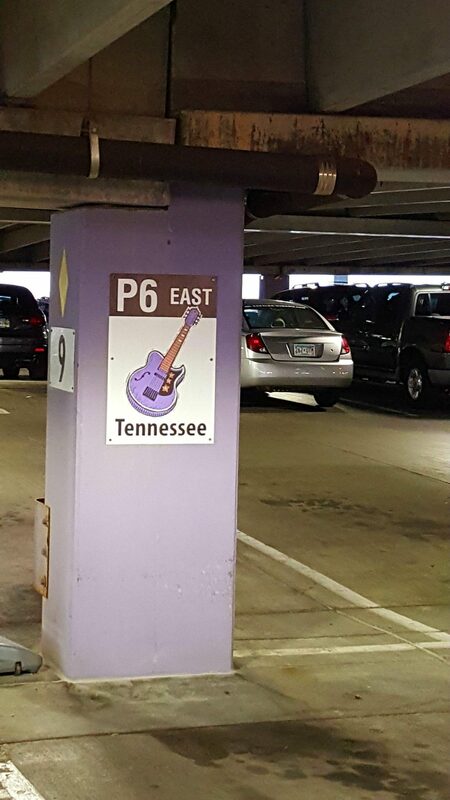 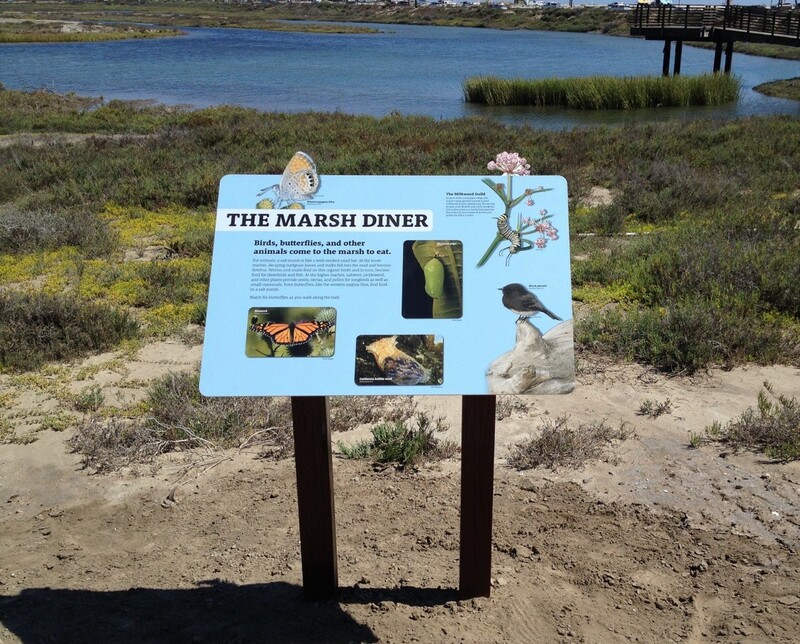 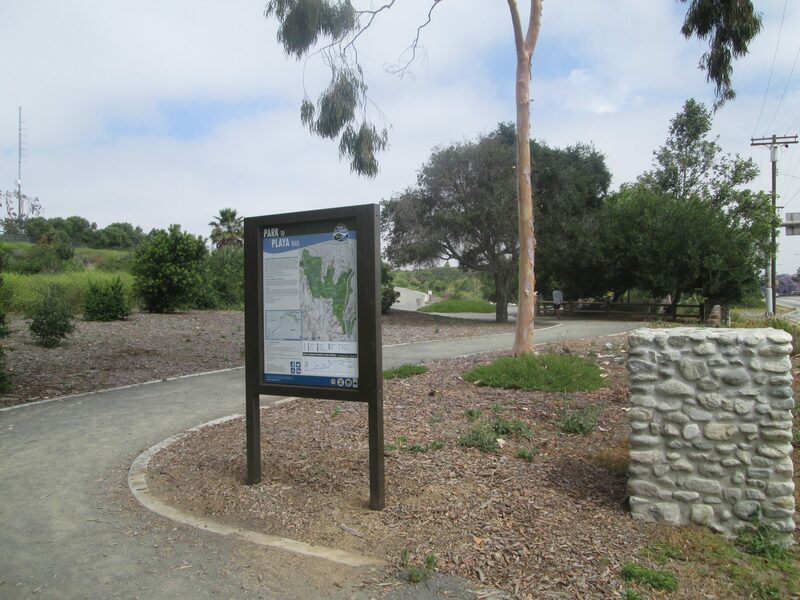 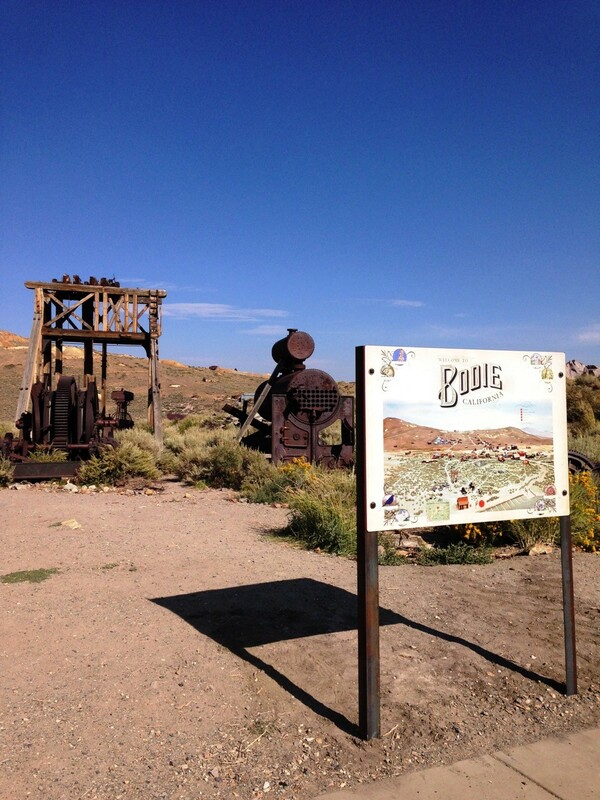 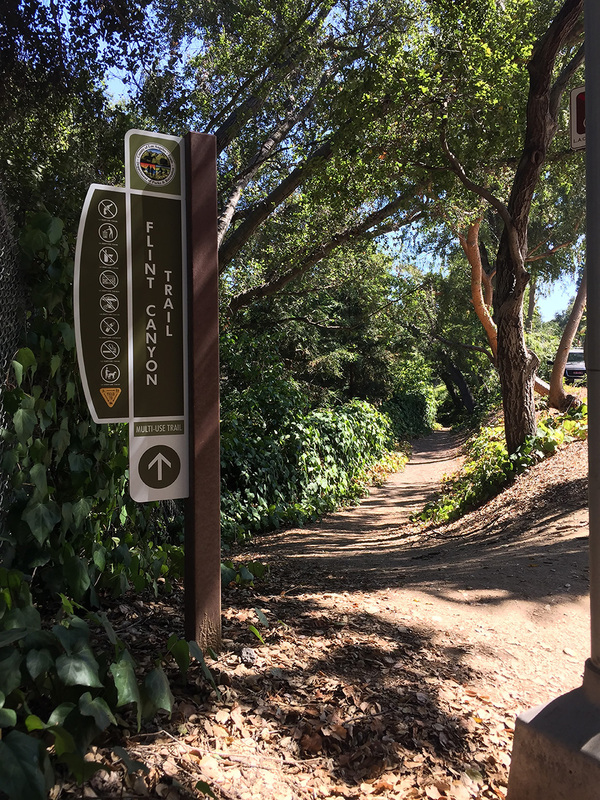 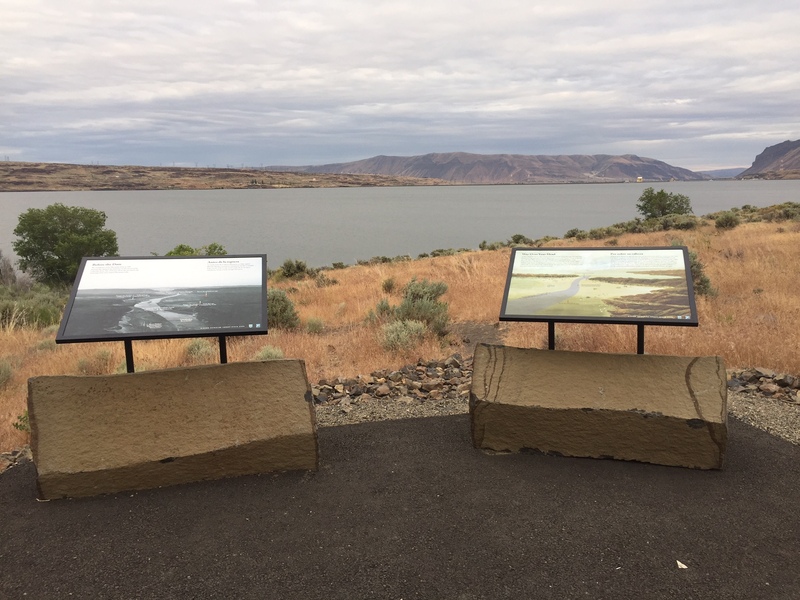 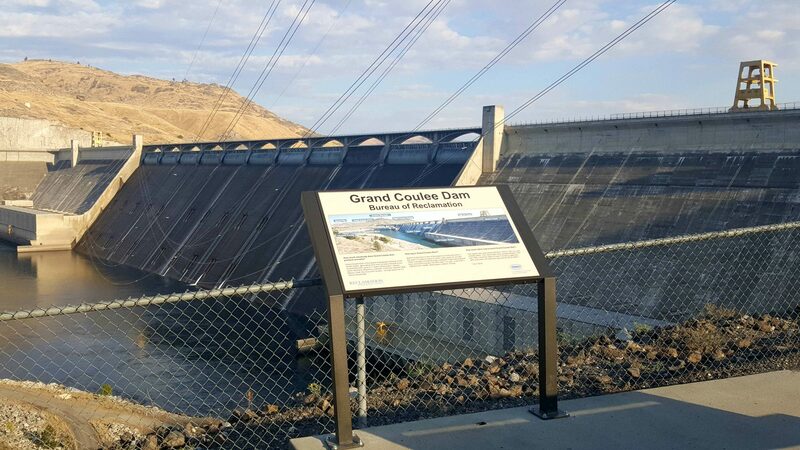 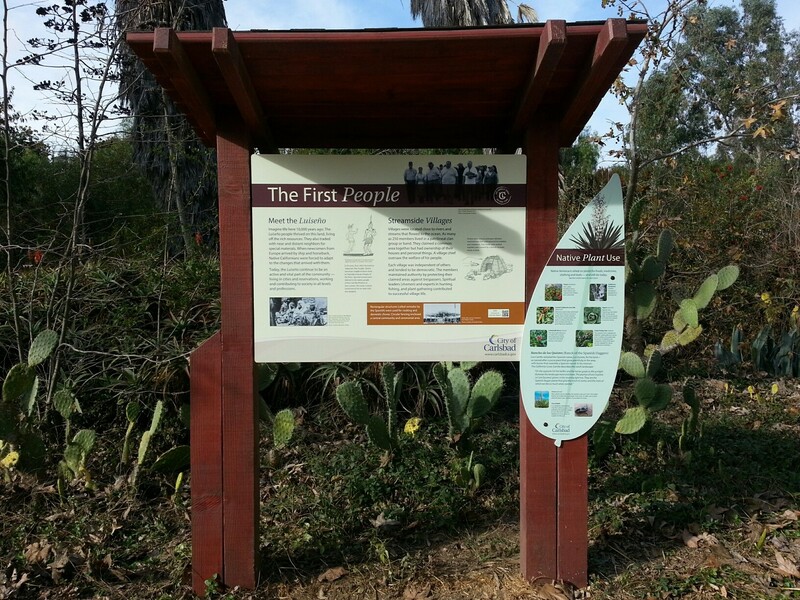 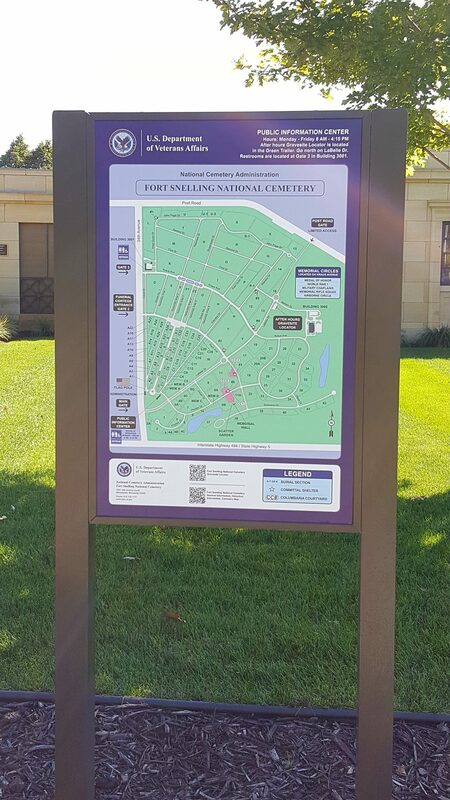 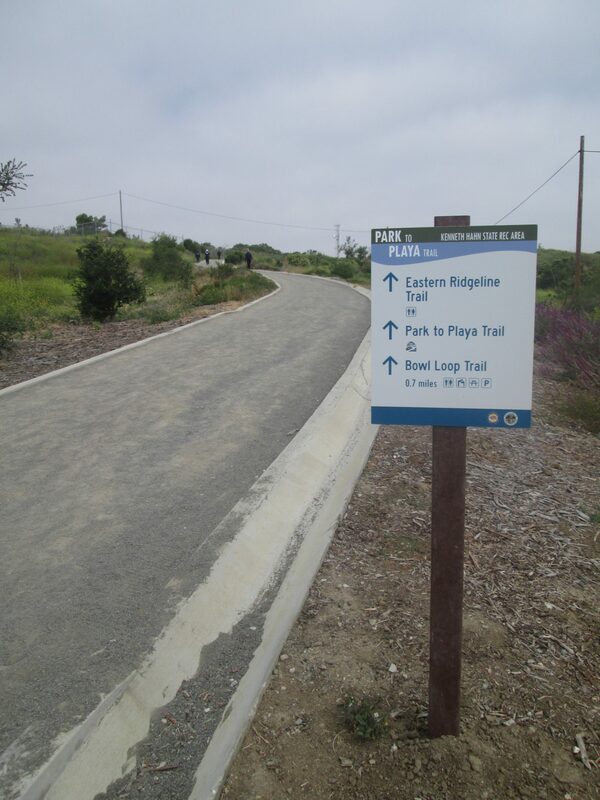 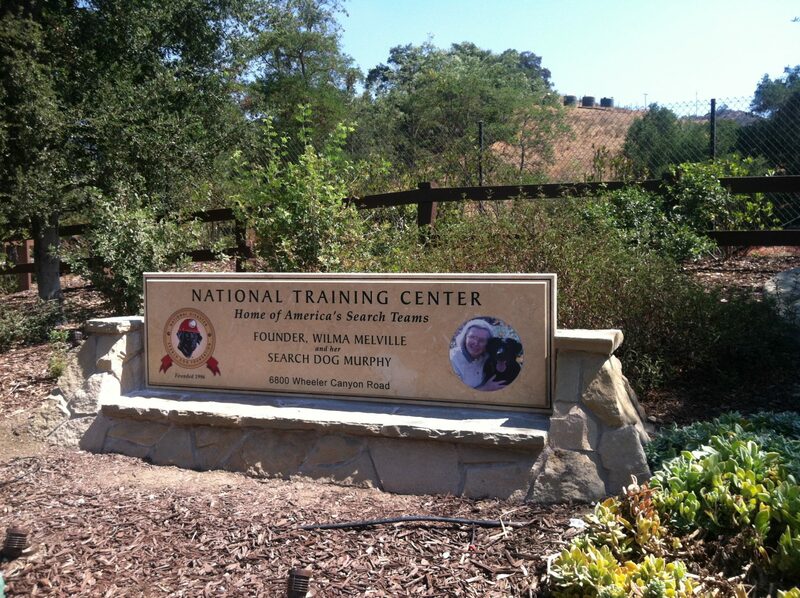 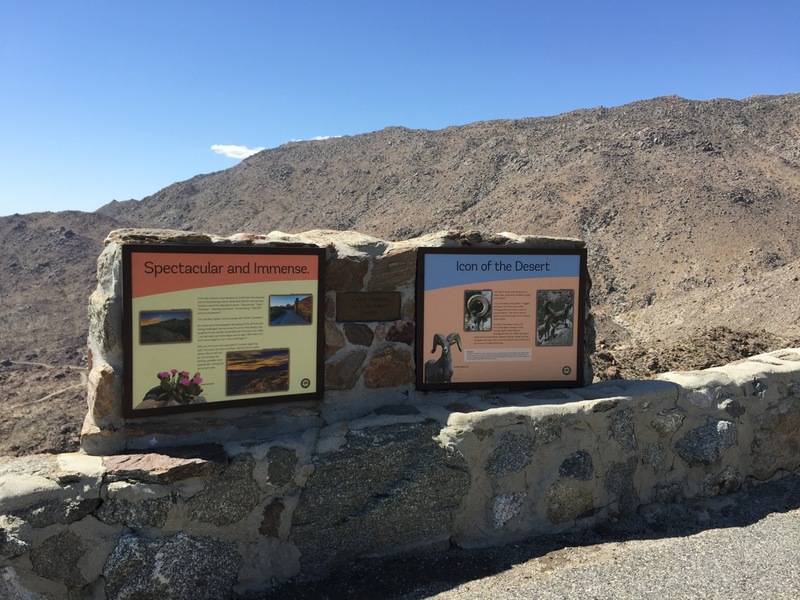 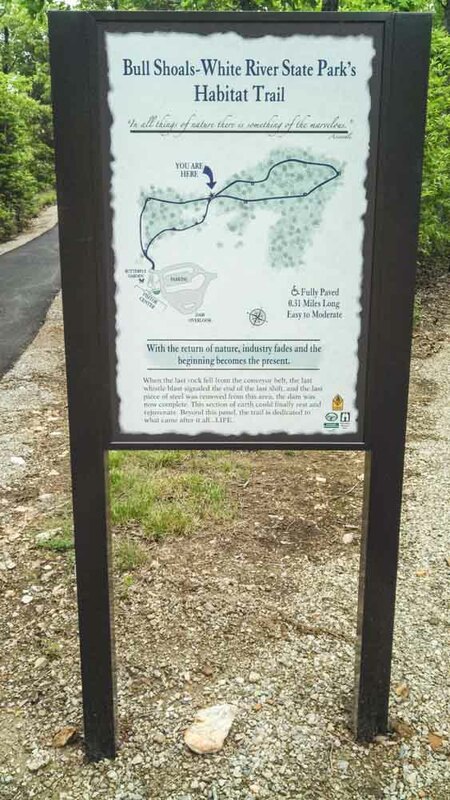 Monument signs typically feature larger 6 x 6 posts, full framing around the signs, and can be designed to be viewable from a single side or from both sides of the sign. 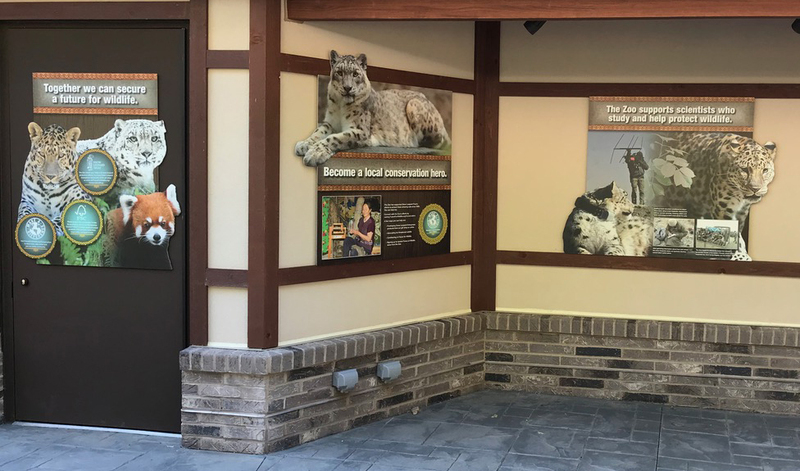 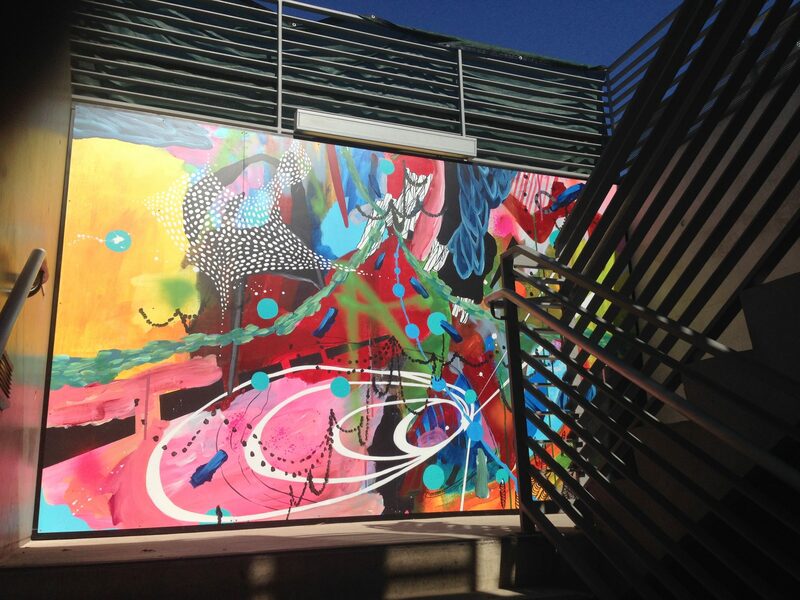 They can be further customized to include brickwork or masonry for a more formal display (see images in the Architectural and Mural gallery under ImageLOC® signs). 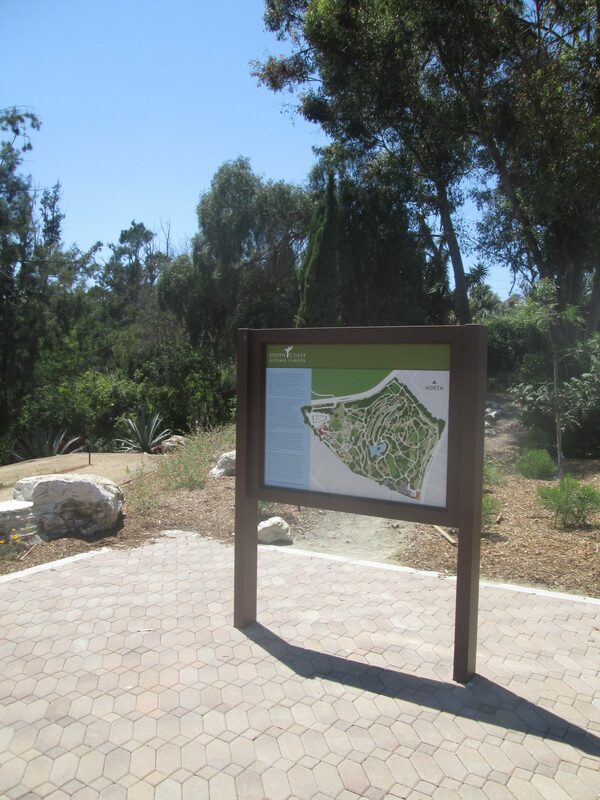 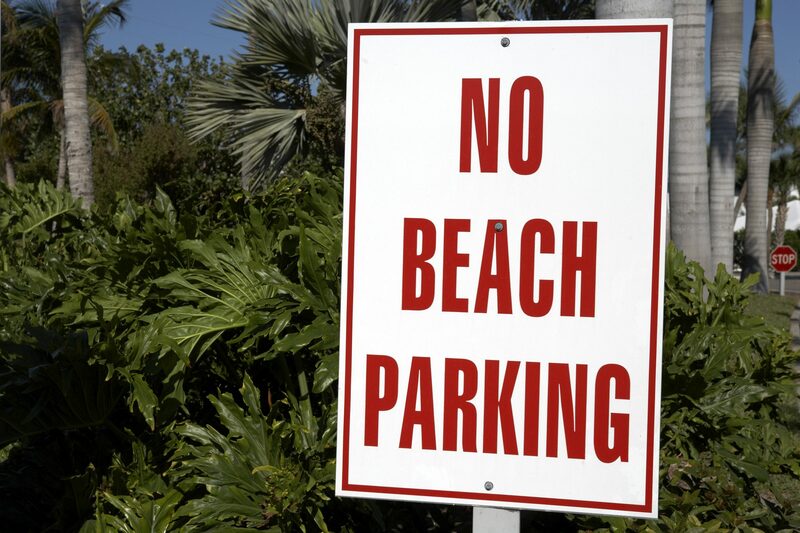 Sign sizes typically range from 48” w x 36” h to 96” w x 48” h.